Mmm… brain foggy. Very tired today. Closing all position. 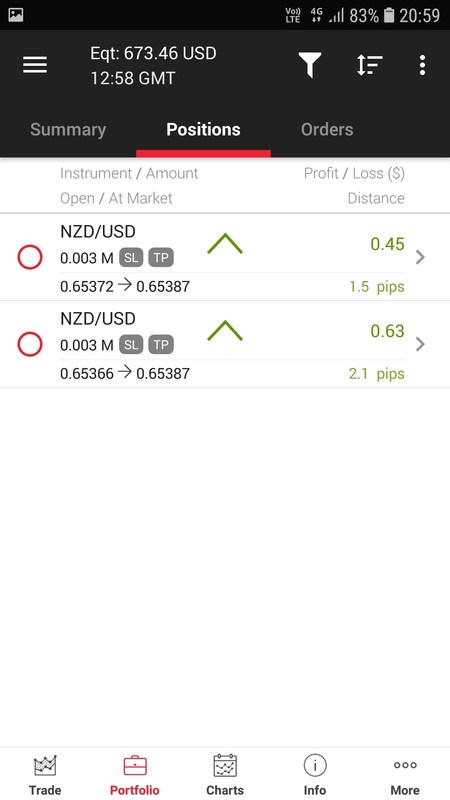 NZDCHF 0.001 Short position opened at 0.65770 closed at 0.65620. 50EMA about to cross over 200EMA. ALL 3 shorts GBPCAD position hit Target. Weaken state of bullish MACD. 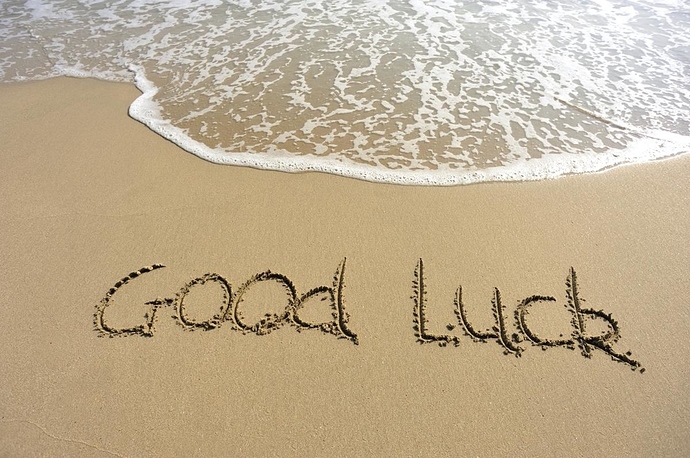 In lieu of FRIDAY, Trader’s who were Longs in profit may book profits and close their position before weekend. 50 EMA about to crossover 200EMA hints at lack of long momentum. 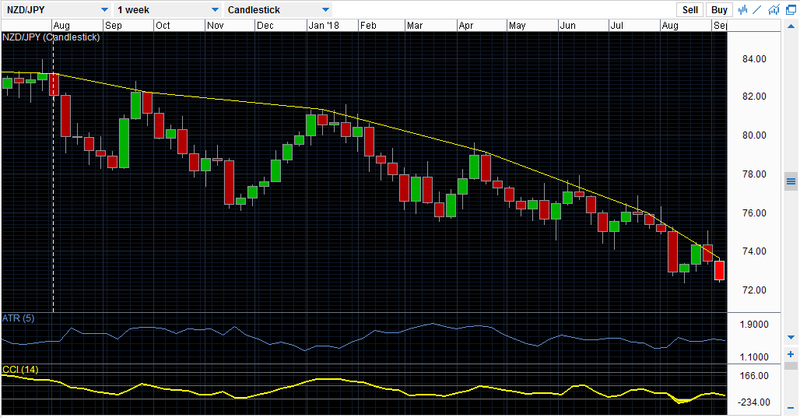 A major pullback of GBPJPY on the horizon. On a 10 Tick chart. 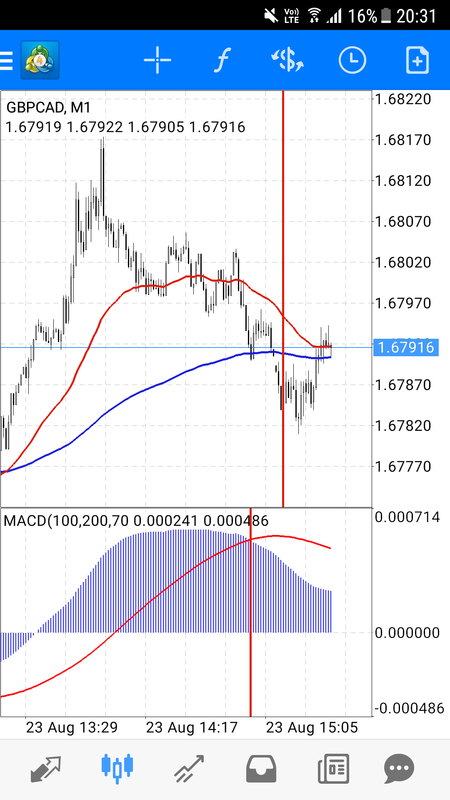 There is a 5SMA crossover 10SMA showing a potential sell signal. 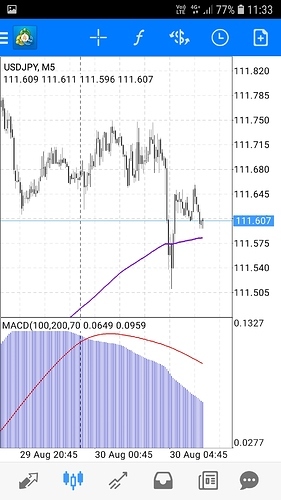 MACD is showing weaken bullish MACD histogram bars. Overall, Momentum is bearish and it seem that a head and shoulder pattern is brewing. Below is a screenshots of my current position. My short 0.006 lot GBPCAD had an average position at 1.67880 price level, hit target at 1.67590 (+29pips), Maximum drawdown reached 1.68300 (-42pips). 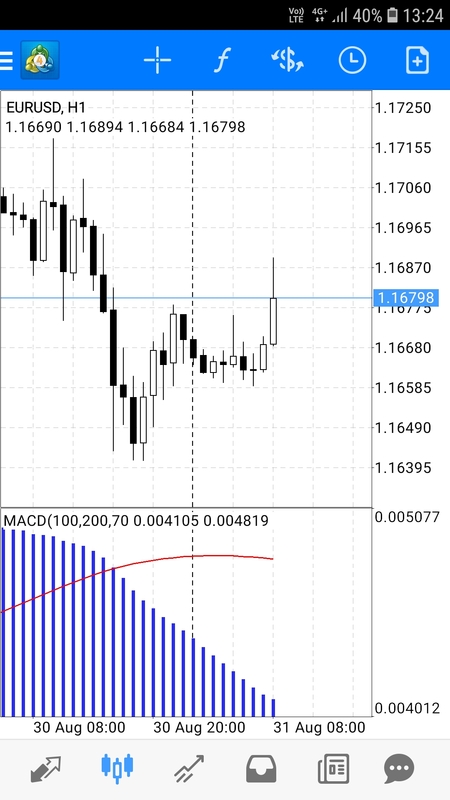 Risk : Reward ratio 1.44 : 1 . I have highlighted the average positions level with blue horizontal line on the chart above. 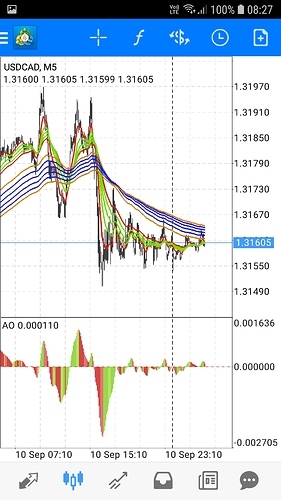 My Long 0.006 lot EURUSD had an average position at 1.15780 price level, was manually closed at 1.15670 (-11pips), Maximum drawdown reached 1.15410 (-47pips). I have highlighted the average positions level with blue horizontal line on the chart above. 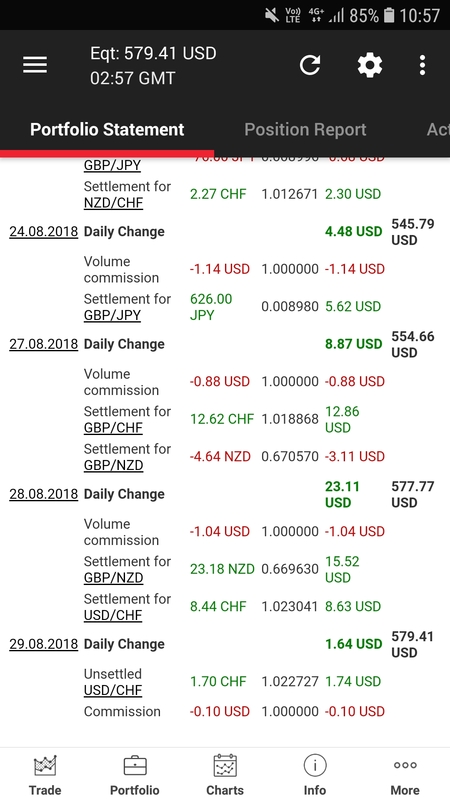 My Long 0.003 lot NZDCHF had an average position at 0.65860 price level, was merged manually closed at 0.65810(-5pips), Maximum drawdown reached 1.15750 (-11pips). I have highlighted the average positions level with blue horizontal line on the chart above. 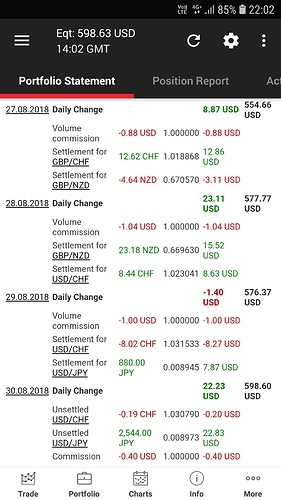 My short 0.002 lot NZDCHF had an average position at 0.65770 price level, was manually closed out at 0.65620 (+15pips), Maximum drawdown reached 0.65900 (-13pips). Risk : Reward ratio 0.86 : 1 . I have highlighted the average positions level with red horizontal line on the chart above. On a 10Tick Chart, Price just breakout below the lower border of a ascending channel. Smaller bullish histogram bars are observed as well, hinting at an impending reversal. 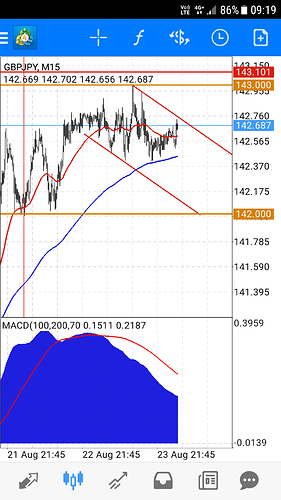 Price is trading between 142.700 and 142.900 . A breakout below 142.700 will be a confirmation signal for the reversal. I have consolidated my GBPJPY shorts into 3 position respectively. Stop loss adjusted to 143.501 for all current position. 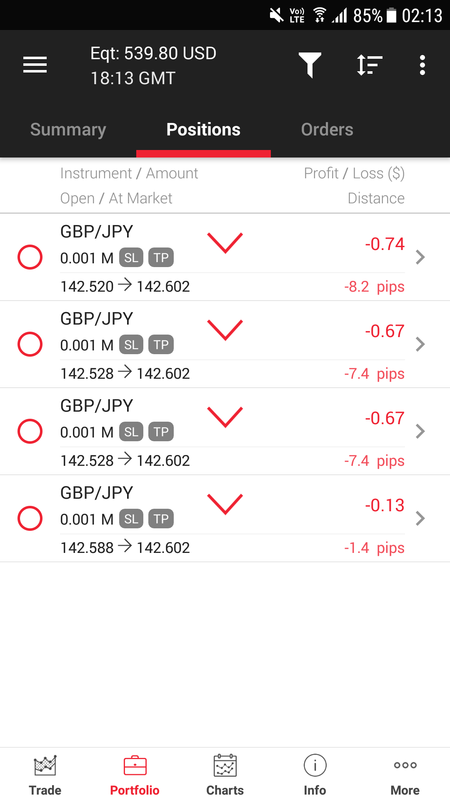 I have consolidated all my Shorts 0.008 lot GBPJPY at an average price of 142.590, I have decided to average it with a 0.01lot of GBPJPY, targetting 142.870. Current daily range is more than 100% of average daily range. According to my experience, a reversion of mean should take place. If it does not take place, i’m willing to cut losses at 142.501 price level. I do not feel tilted but felt that it is something that i must do according to my experience. Chances of a mean reversion is pretty high at this point in time. The only regret was being too greedy and that my existing position was abit too big ( will review later on and devise a safety plan for it.) Averaging my current 0.008 lot does seem to take on too much risk. It is a risk that i have to follow thru with my style of trading. 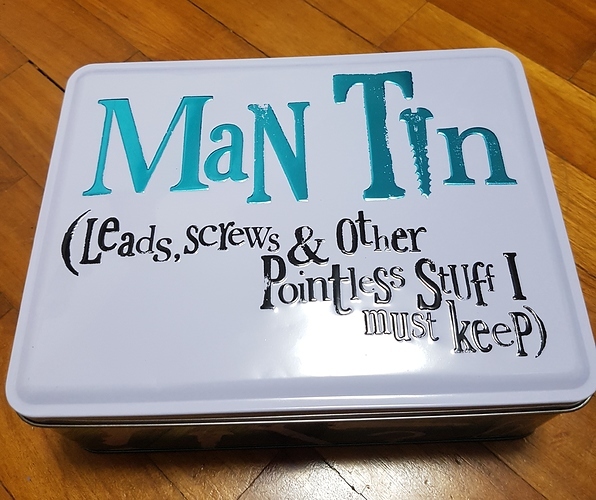 Otherwise, my previous effort would have gone down the drain. By my eyeballing analysis of daily overlapped level, i’m expecting a mean reversion level of 142.700 at least. Just adjusted stoploss from 142.901 to 142.851 . Ok, I’m out! My stop just got taken out. I have no more outstanding positions. 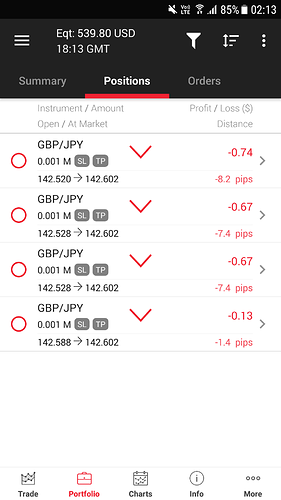 My short 0.01 lot GBPJPY was opened at 143.120 price level, hit target at 142.880 (+24pips), Maximum drawdown reached 143.240 (-12pips). Risk : Reward ratio 1 : 2 . I have highlighted the average positions level with red horizontal line on the chart above. 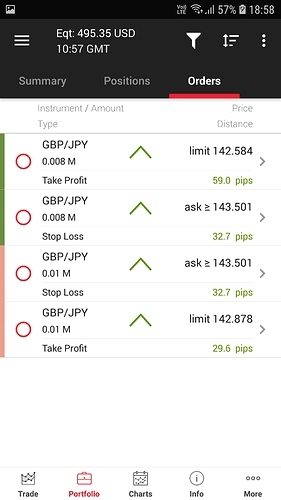 My Short 0.008 lot GBPJPY had an average position at 142.590 price level, was Stop out at 142.850 (-26pips), Maximum drawdown reached 143.240 (-65pips). I have highlighted the average positions level with blue horizontal line on the chart above. My winrate per opened position and closed by day end were ( 25/37 ) x 100 = 67.5% . 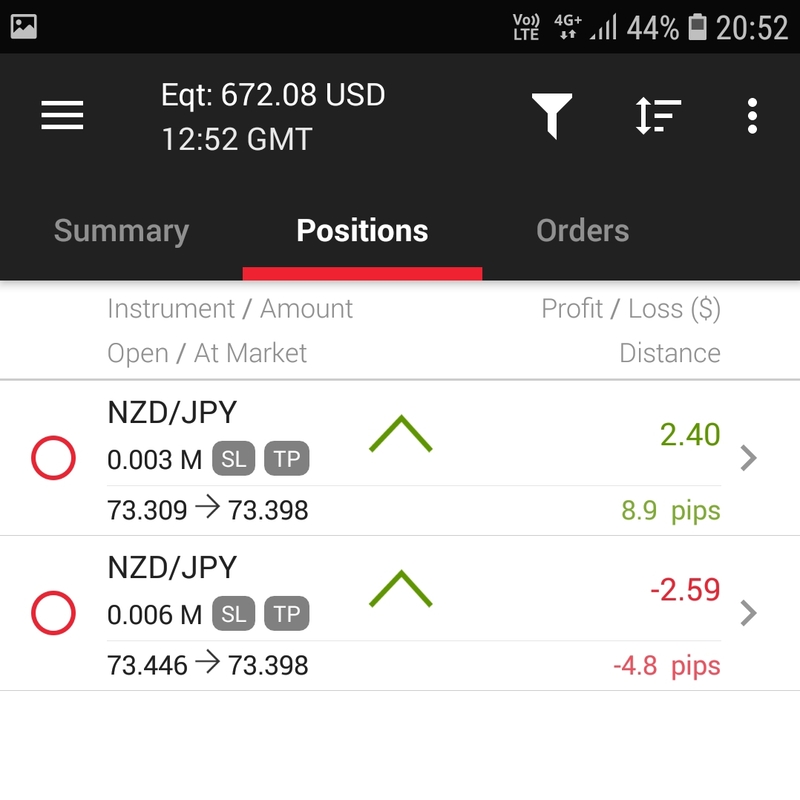 An opened position were closed by end of day and consider as a single trade. 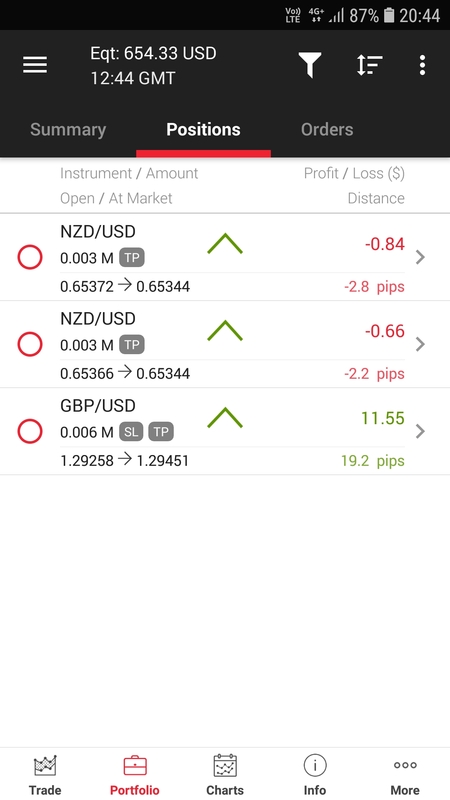 Position that rollovered to the next day were consider as a new trade. Lot size were disregarded for each closed trade. Each closed trade of a merged position from multiple smaller lot size trade were considered as a single entity for easy calculation. Averaging were adopted to mitigate risk from the perspective of getting in at a better average price level. 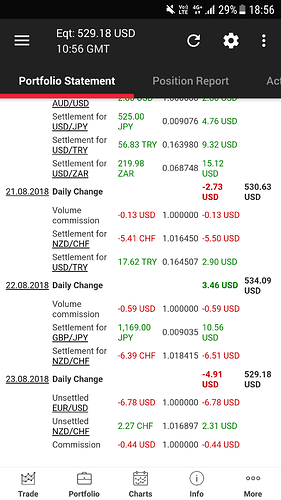 Exotic pairs like USDTRY may have lower leverage offered by my broker. It is important to check them out prior to trading them as it affects my positions sizing. An oversized position may utilize too much margin and leave little room for drawdown. Exotic pair have off market hours. It is important to check them out prior to trading them because there is a period of inaccessibility on a daily basis. 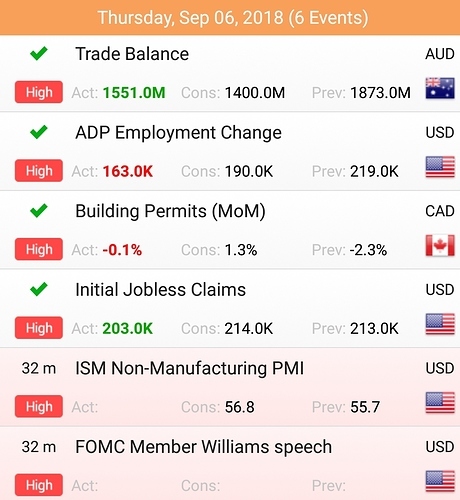 That will affect my strategy in dealing them, for example, like determining whether to close the position before the next off market hour. i realised that i was very impatient. 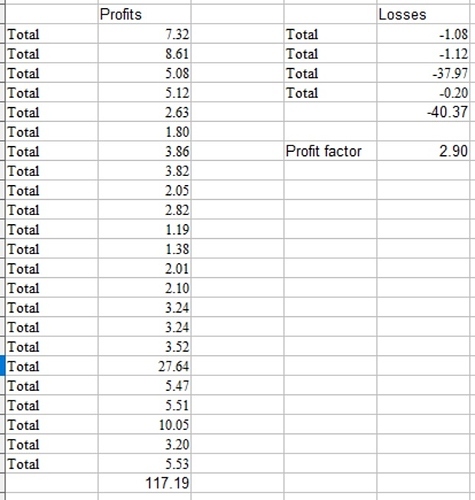 By midweek, my position sizing have grown considerably from an initial 0.001lot per position entered. To me playing with 0.001lot just seem like an awfully waste of time. By week end, my largest overall position size at any one time was 0.018lot . That was utilising around 20% of my available margin ( my leverage is 1:200 ). So much for my plan to only increase position size after reaching a new watermark level. Actually, i was not specific enough at the beginning, i did not actually define what the watermark level was. I did not propose to myself a cap for maximum lot size utilised at any given point in time. In a nutshell, no money management rules were in place. Watching my family from a distance, what more can i ask for. They are happy, i’m happy. 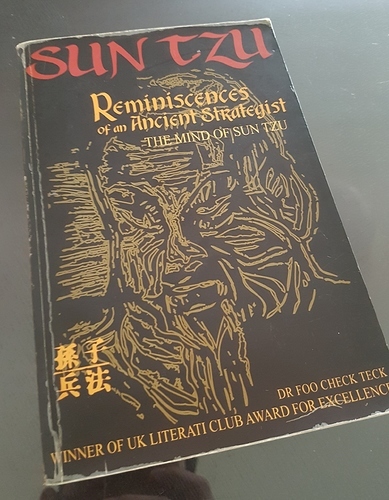 I decided to read a book today, my favorite book, Title " Reminiscences of an ancient strategist " . It is a great book. It helps me to get into the mind of Sun Tzu and think like a True strategist. 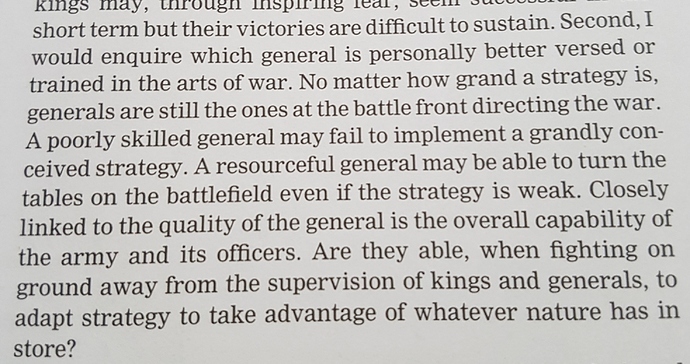 I highly recommend this book to anyone wanting to improve awareness for strategic thinking. I have choosen the topic on PREDICTION to read for today. 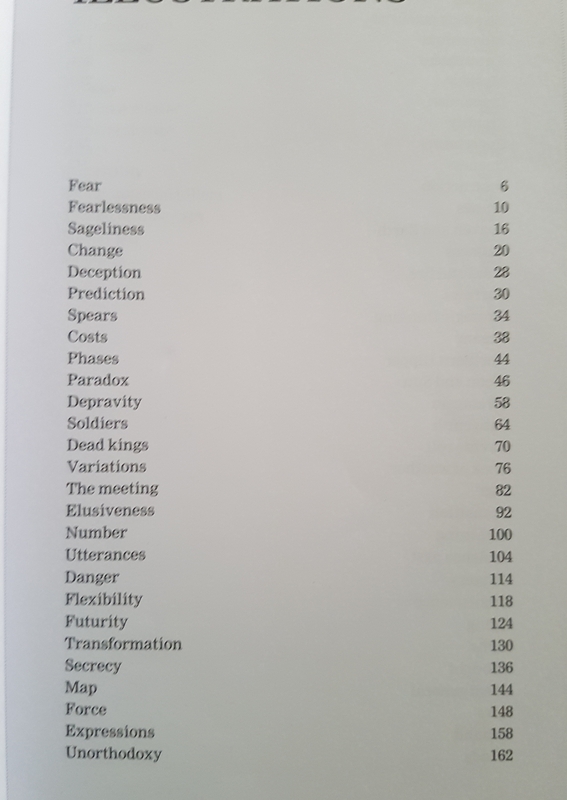 I have taken 2 short excerpt from the chapter of Prediction. Hopefully, it may shed some light on awareness to becoming a better trader. 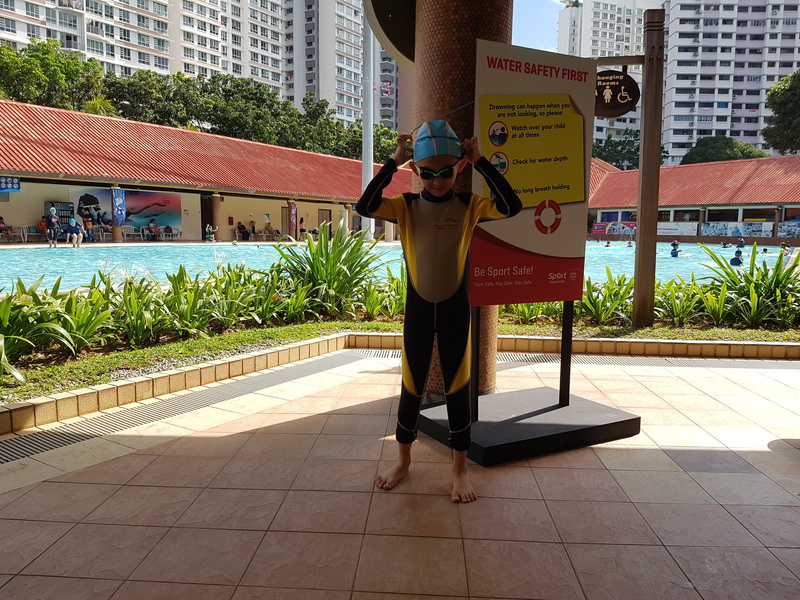 Going swimming with my 2nd son. Looks like a great day to swim. 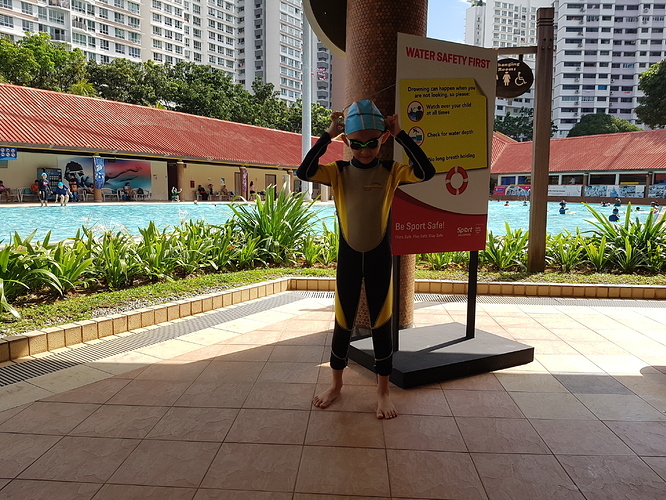 Just finish swimming, going for DINNER!! No matter how skillful you are, no one can beat Luck . Some may argue, luck is only temporary, skill will prevail in the long run. It depends on the context on how we perceive luck. Some Luck are permanent, Eg. being Bill gates’s daughter , i would say she Luck out . IMHO, i think being Lucky is more important than being skillful. Why? Simply because you can’t beat Luck. Boils down to the question of what exactly is LUCK? Having things go your way, in the center of favourable conditions. Being skillful often requires you to slog and you may not be safe even. Being Lucky, every affair or circumstances are innocently effortless and protected. I’m not saying that being skillful is not important. i only want to emphasize that Luck is just as important as being skillful. Almost everyone will only focus on honing their skill. 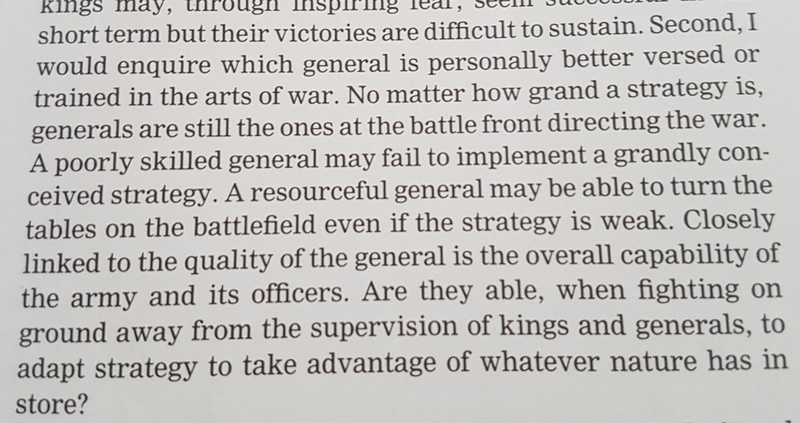 Indeed, deliberate training does make one stronger, more stamina, more discipline, better execution … etc , but the fact remains, an important aspect is being underestimated here, and that is Luck. Now you will argue that we can’t control luck. It is an external variable, sometimes a constant even. Well, if it is a constant, then we make use of the constant to work for us. If it is a variable, then we adapt to its capricious nature. My point here is make our own luck. Build it, create it and harness it. Resourcefulness is the key to getting lucky. 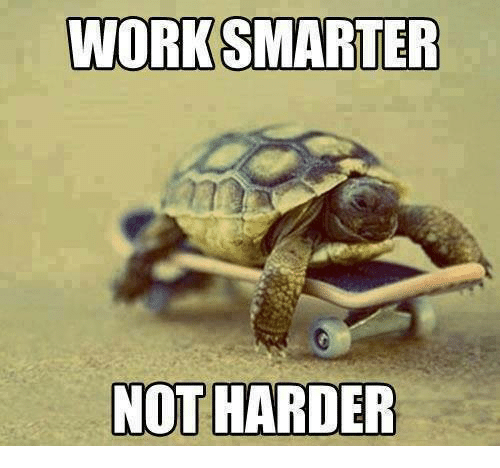 Being hardworking is not enough. You need to be holding the aces. There’s luck and luck… there’s the kind like being born into a rich family (which is sometimes maybe not as lucky as it sounds)… and there’s the kind like having worked hard to be positioned to take advantage of an opportunity when it arises. Here’s an example: I used to work for a company founded by two brothers, who got bought out during the internet boom by some foolish folks for a ridiculously overvalued sum. They gained hundreds of millions each. Lucky them! 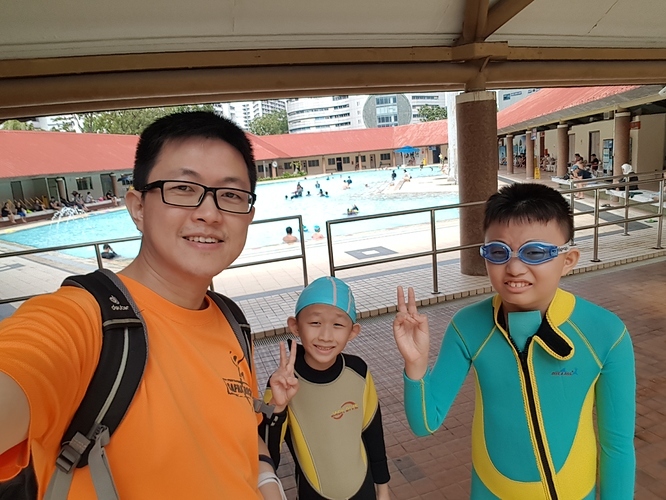 They’d also started the company using the compensation money that was paid to a third brother for an accident that left him paralysed for life, with the idea that they needed to turn that money into a living for him. Hm, that wasn’t very lucky, was it? They worked hard to get that company going, and it was a well-established small software house, ticking over but not stellar, when the internet boom hit. They were there, ready to field the phone calls from frantic future failed dot-coms who needed a roomful of software developers NOW, no, tomorrow isn’t soon enough, NOW! They rode that wave… and yes, they did luck out. They ended up with some cold, hard cash and the buyer’s stock essentially went to zero within six months when the bubble burst. But the start of that story wasn’t very lucky… a family tragedy, grit, determination and hard work. I’d say they could take a good slice of credit for being there when the luck came calling. I will need all the GOOD LUCK i can get. Really Appreciate it. Looks like GBPCHF on its way up. 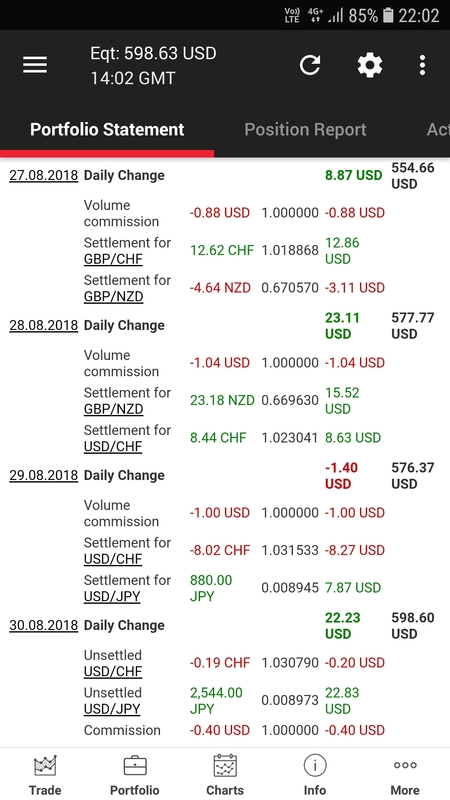 Bought 2 0.002 lot GBPCHF at 1.26360. Just closed all my GBPCHF position at 2125HR SGT. 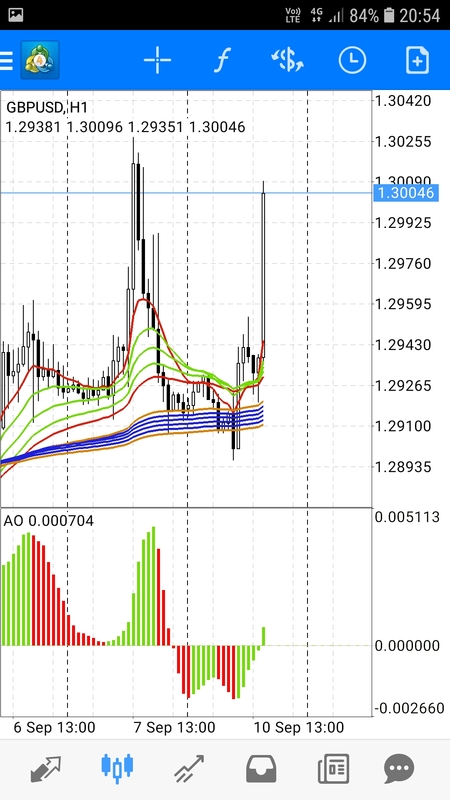 Protective sell stop at 1.25799 were cancelled as well. 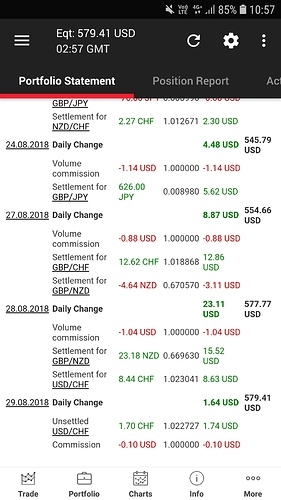 My Total 0.012 lot Long GBPCHF had an average price level at 1.26350, hit target at an average price level of 1.26450 (+10pips), Maximum drawdown reached 1.26200 (-15pips). 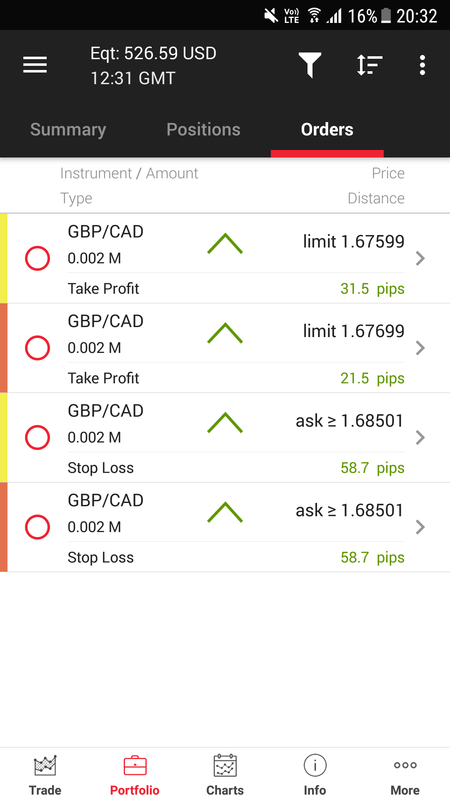 Risk : Reward ratio 1.5 : 1 . I have highlighted the average positions level with blue horizontal line on the chart above. 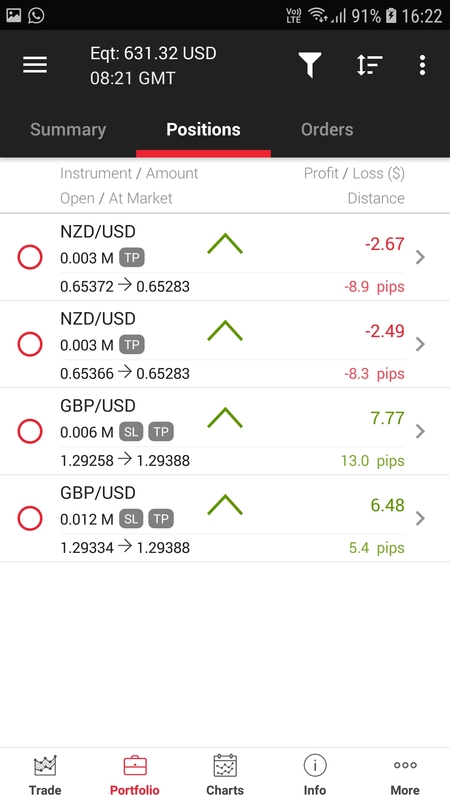 GBPNZD looks like going down, but based on yesterday’s experience with GBPCHF, price may do a re-test of daily High at 1.93000 one more time before going down, let’s see if price beats around the bush today. 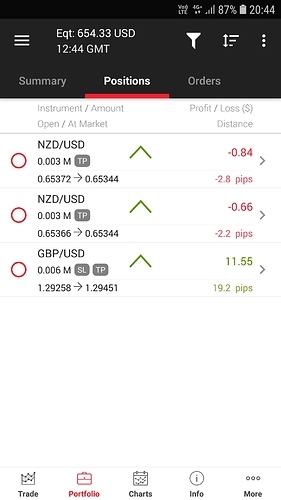 The bid ask spread for GBPNZD is like 16pips! 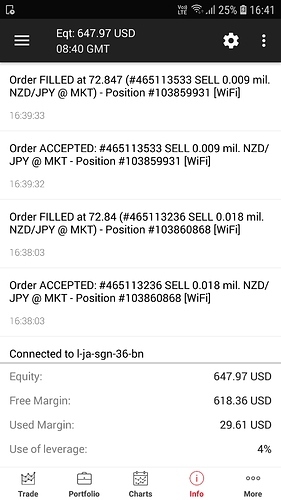 Major fireworks, i hit target , but my position didn’t close due to widen bid ask spread. I’m just going to set and forget. Going to get some sleep now. I managed to hit my 1st Target at 1.92299 this morning. Price did a pullback. 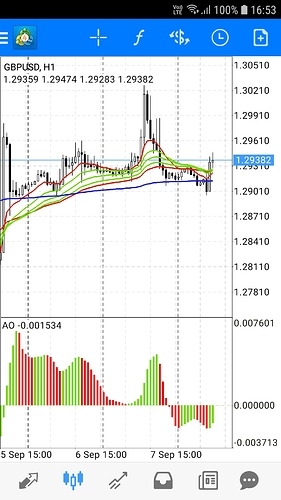 I decided to enter another short at 1.92400 targetting 1.92299 again. All my position was closed at around 1900HR SGT. Mean reversion appear to be brewing. Play safe just close all position. 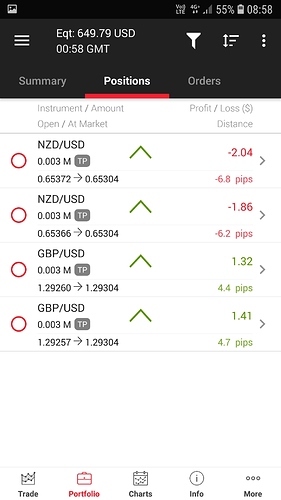 My Total 0.014 lot Short GBPNZD had an average price level at 1.92520, hit target at an average price level of 1.92390 (+13pips), Maximum drawdown reached 1.92770 (-25pips). Risk : Reward ratio 1.92 : 1 . I have highlighted the average positions level with blue horizontal line on the chart above. 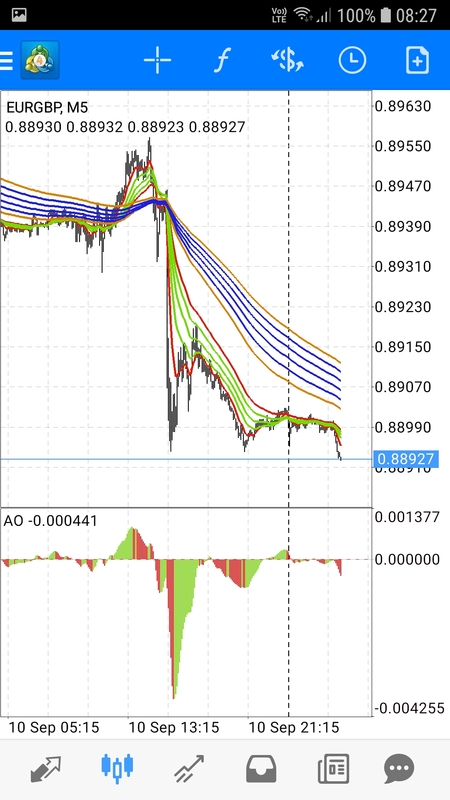 In anticipation, i decided to Long USDCHF before the reversal even began. 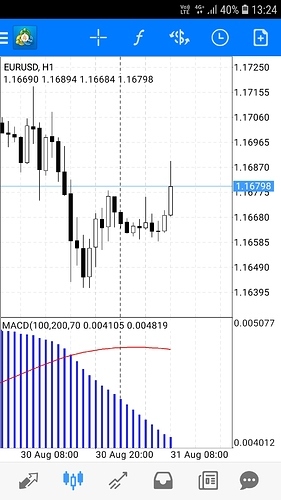 Divergence between MACD and Price were observed. Forthcoming reversal indicated. 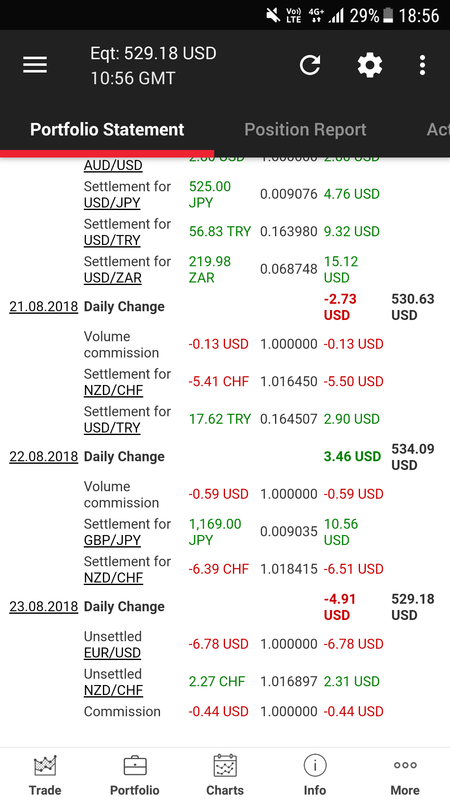 All USDCHF position closed, protective sell stop order cancelled. 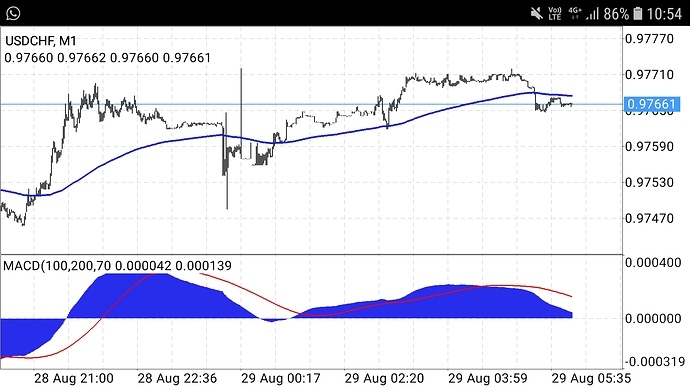 Looks like a pause in USDCHF bullish run. My current progress. Not too shabby, 15% growth at the moment. 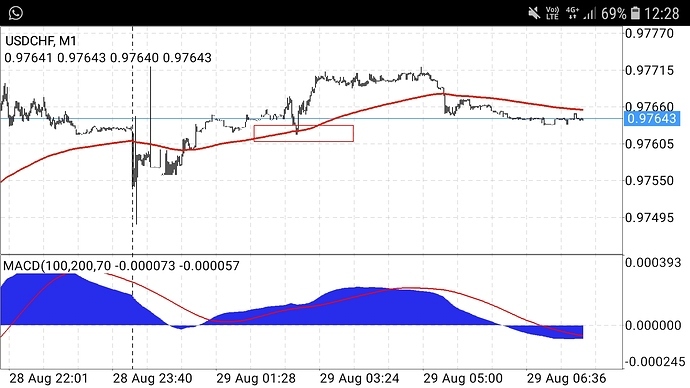 Looks like a possible trend continuation. USDCHF didn’t go my way today. I have a Long & short 0.006 lot of USDCHF hedged with a floating loss of 17pips. Will observe how price play out for now, and decide what to do with the hedged position later on. 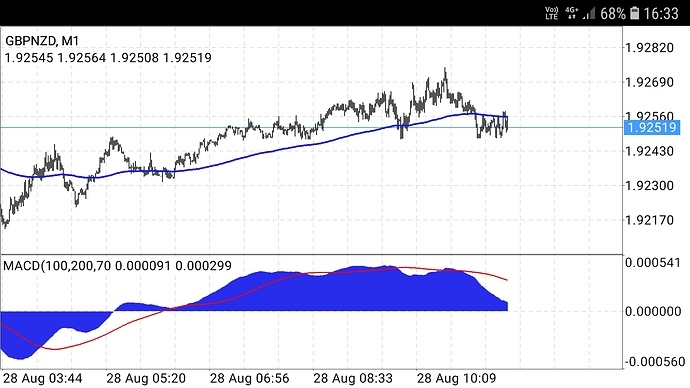 Technically speaking, USDCHF is bearish at the moment. On hindsight, with all the rate hike hype going on. How bearish can it get? Its simply too tempting for me to average up. However, i’m not feeling particularly lucky today. Lots of hiccups at work and home. I’m staying on the sidelines for now. Lack of mojo. 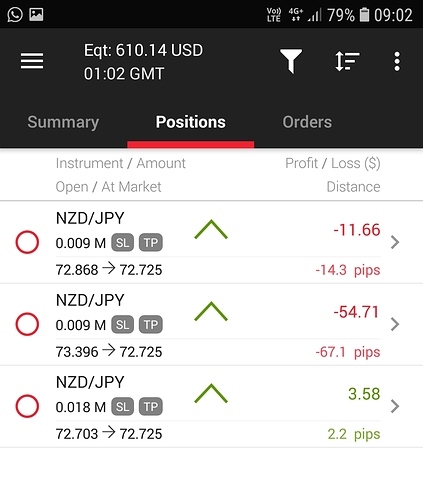 All of my current positions. 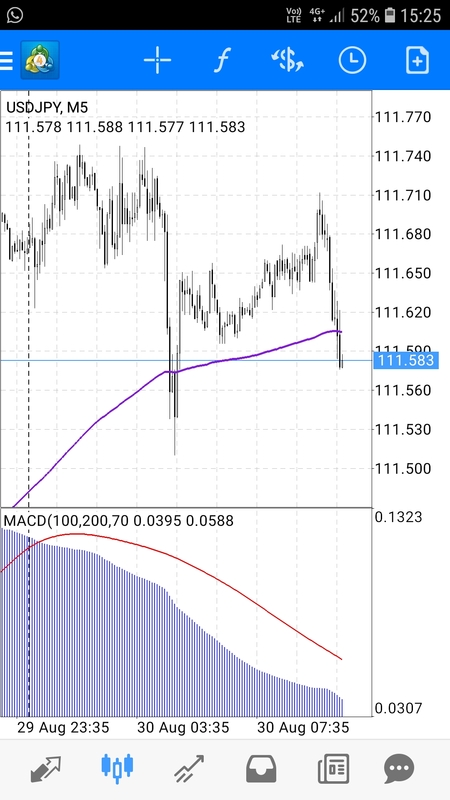 The reason why i Short USDJPY . . . I just checked thru GBPJPY & EURJPY chart. 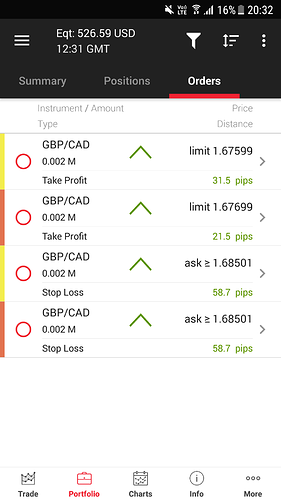 Both GBP and EUR were immensely bullish against the yen. 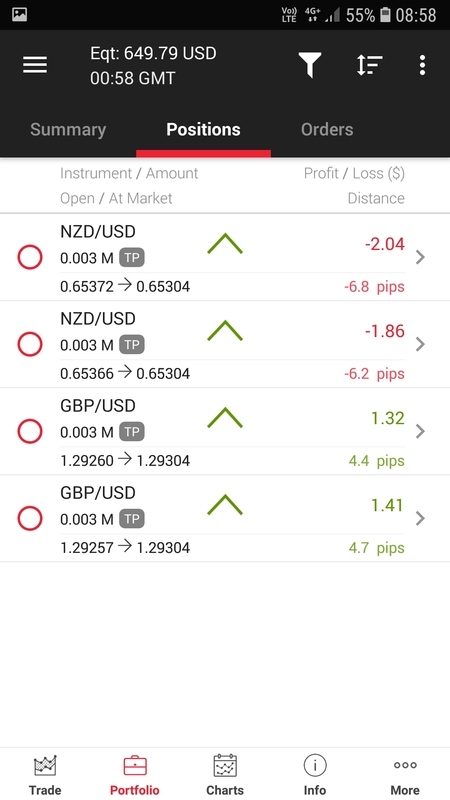 As for GBPUSD & EURUSD, both GBP and EUR were bullish against the USD as well. Both USD and YEN are weak. 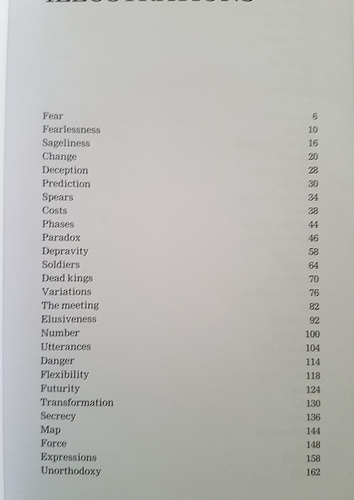 Which one will be weaker? 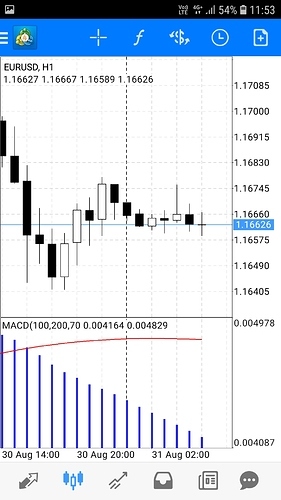 I think all boils down to the unemployment data from GERMANY later today at 1555HR SGT, which will determine whether EUR is going to be strong or weak. 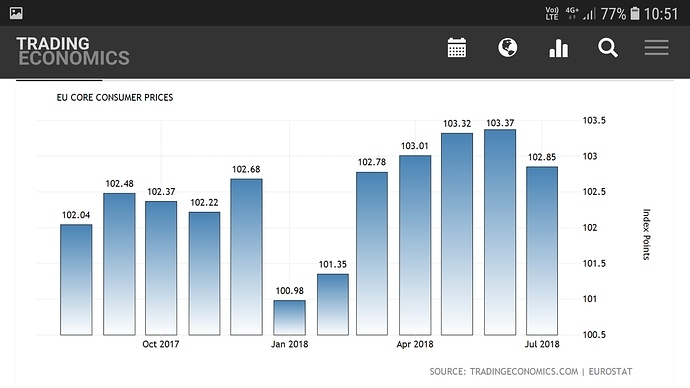 Above is a screenshot of Germany’s Unemployment data for the past months. It is very obvious that the unemployment situation are improving and is on a bullish trajectory. 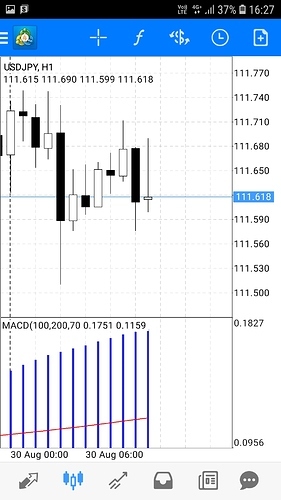 Looks like there is hope for my USDJPY shorts. EURUSD should be bullish during the European session and the battering of Yen by the dollar should persist. Notwithstanding the fundamentals suggestion, few hours back during the early part of the Asian’s session. 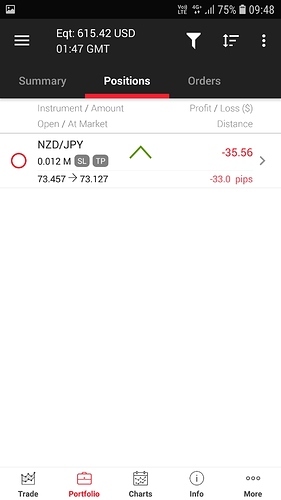 Trader seems to have already anticipated the move and had already straddled a short bet on USDJPY as demonstrated by the USDJPY chart. 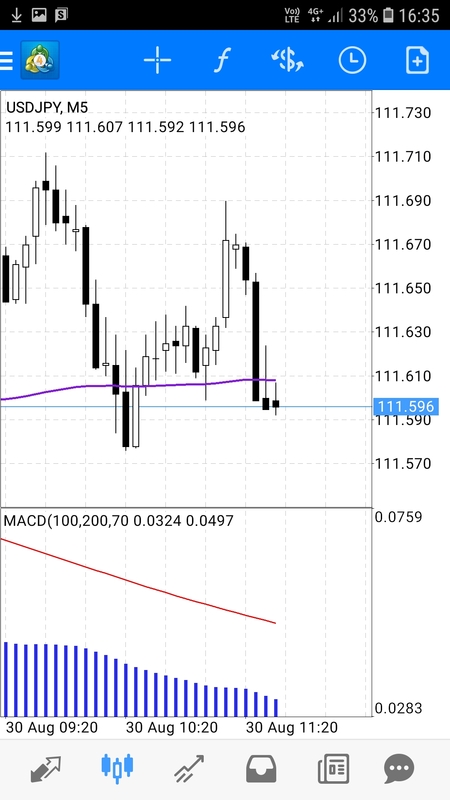 USDJPY breached 5min 200EMA, and the crash begins. Ok, German unemployment data came out AS EXPECTED. Another case of priced in? I think not. London bull trader appears to be giving up, as demonstrated by the exhausted hourly candle. Selling pressure mounting up. And the White flag is raised!! Today was one heck of a day for me. 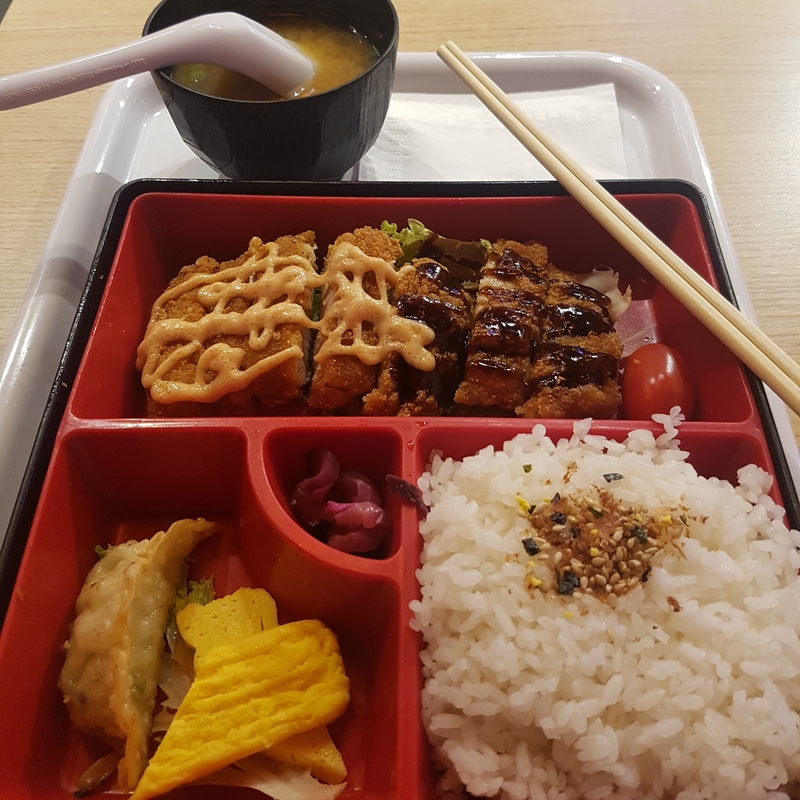 While i was busy slogging away at the emergency department. My predetermined targets at 111.499 price level for 2 of my 0.004 lot USDJPY order was filled. 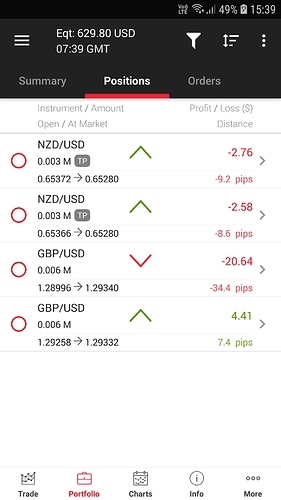 I just ended work and was on my way home, took a quick look at my last remaining 0.004 lot position and decided to book profits as well, it was a mere 7pips away from my preset target. 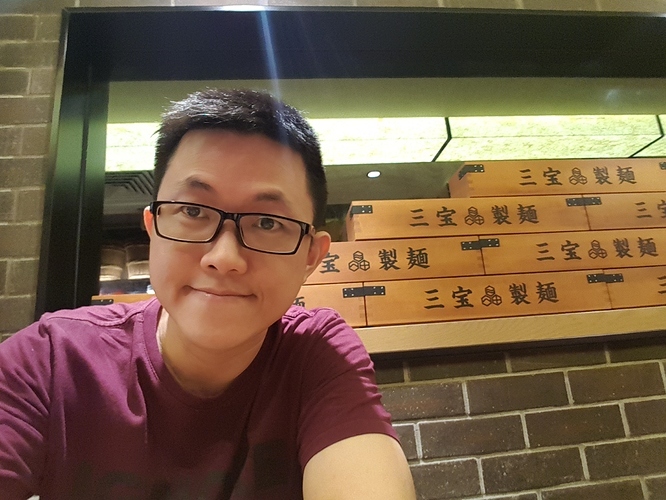 “Perfection is the enemy of good” My six years of experience in trading tells me that it is wiser to quit while i’m ahead, then to have my gains all erased in the next market session. If i were to be adamant about hitting my preset targets, more often than not, i have only found myself live to regret my decision. 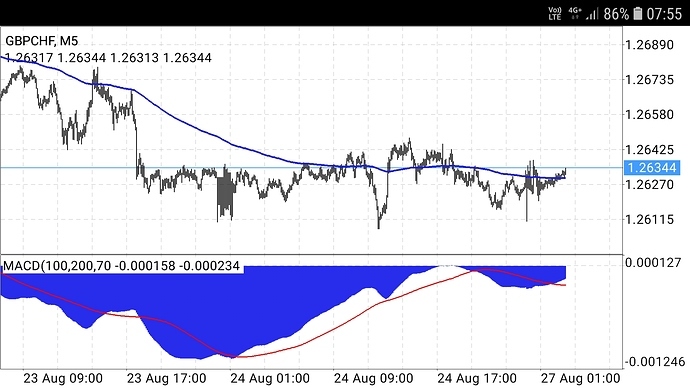 My long short USDCHF is still alive. Chances are i may just close it later tonight. Unless i’m in the mood to perform the art of reviving a hedged position. 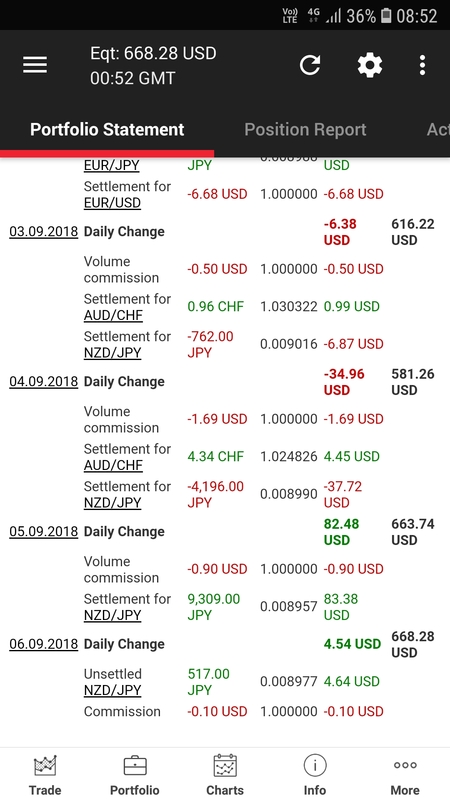 My Total 0.008 lot Long USDCHF had an average price level at 0.97500, hit target at an average price level of 0.97660 (+16pips), Maximum drawdown reached 0.97450 (-5pips). Risk : Reward ratio 1 : 3.25 , I have highlighted the average positions level with blue horizontal line on the chart above. 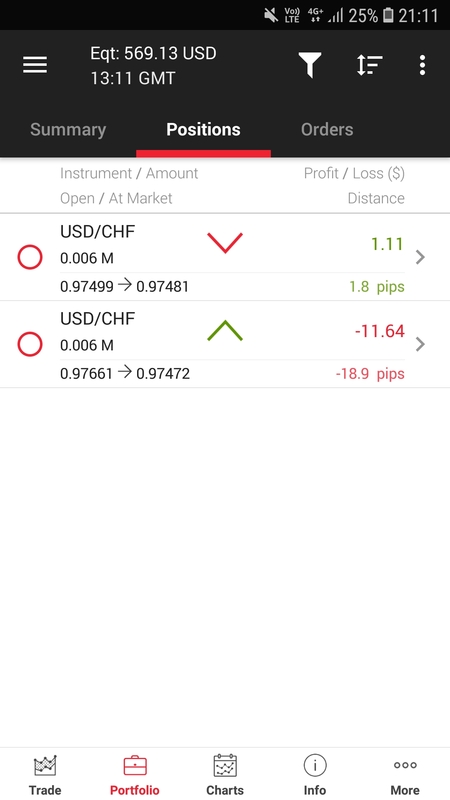 A total of 0.006 lot Long USDCHF was opened at an average price 0.97650. 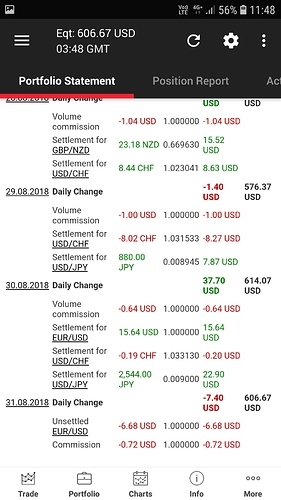 A total of 0.006 lot Short USDCHF was opened at an average price 0.97460. 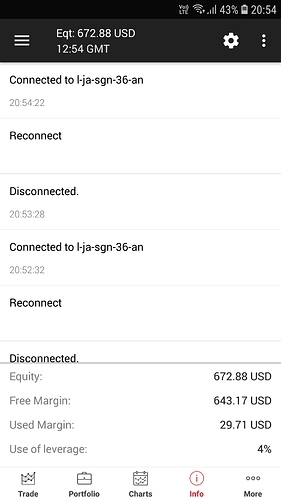 Both position were merged and liquidated at 0.97550. 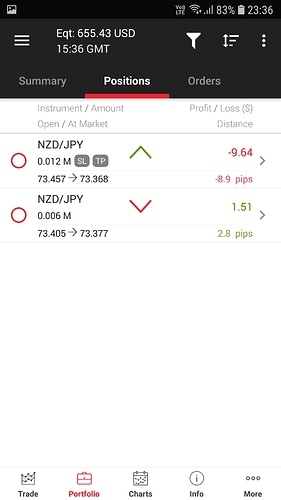 My Total 0.02 lot Short USDJPY had an average price level at 111.720, hit target at an average price level of 111.530 (+19pips), Maximum drawdown reached 111.830 (-11pips). 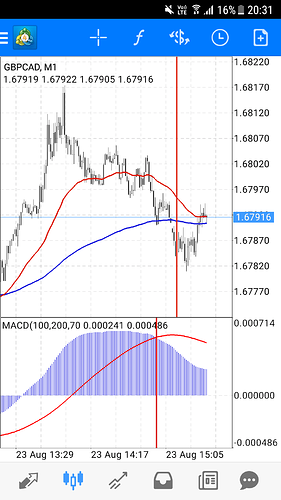 Risk : Reward ratio 1 : 1.72 , I have highlighted the average positions level with blue horizontal line on the chart above. 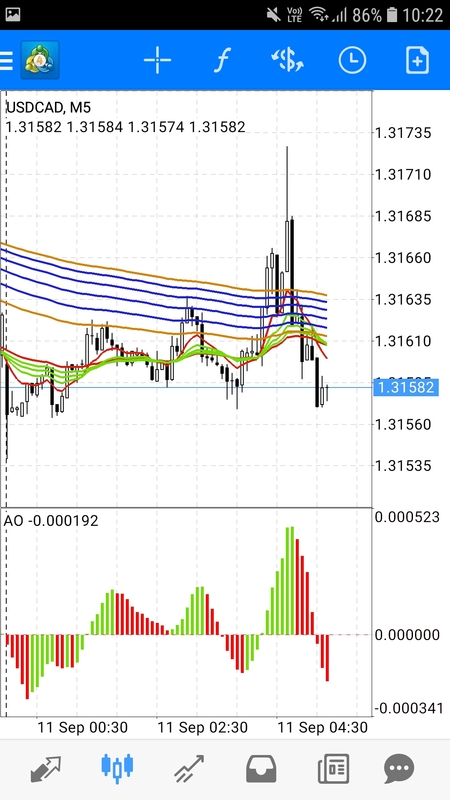 Just closed both of my EURUSD position. Yesterday, i made a mistake. I was looking at the unemployment bar chart for Germany. The upward slope of the bars actually indicates that employment status are getting worse not better. My interpretation was flawed. However, i got lucky in the sense that the actual change was from -6k to -8k data points. 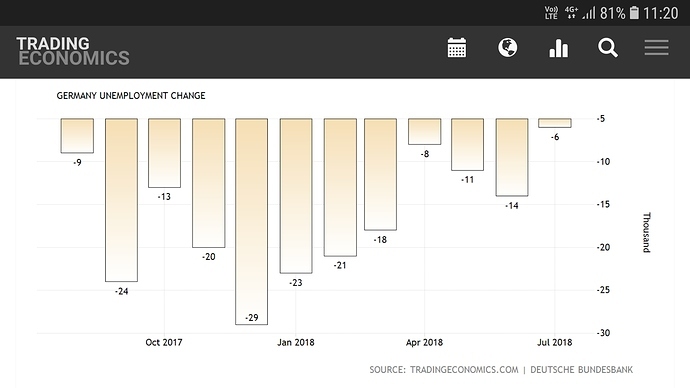 There was actual improvement in employment situation last month. I was under the influence of foresight bias. Technically, i had already deem EURUSD as bullish, and only interpreted information to prove my point. I really need to raise my awareness against foresight bias. Well, looking on the bright side, at least for this instance, i don’t feel so stupid to have reviewed my thoughts repetitively. 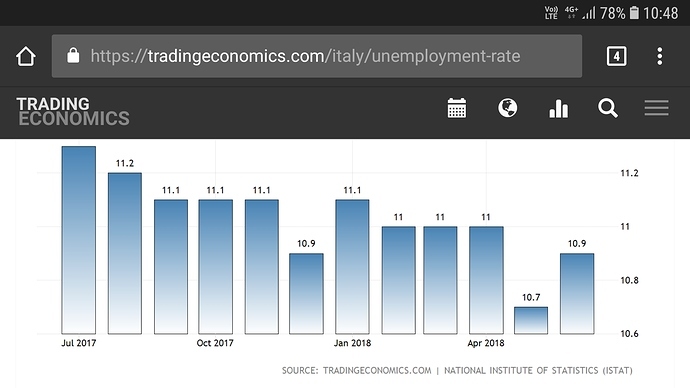 Italy’s Unemployment bar chart shows a downward slope, indicates improvement in employment status in Italy. 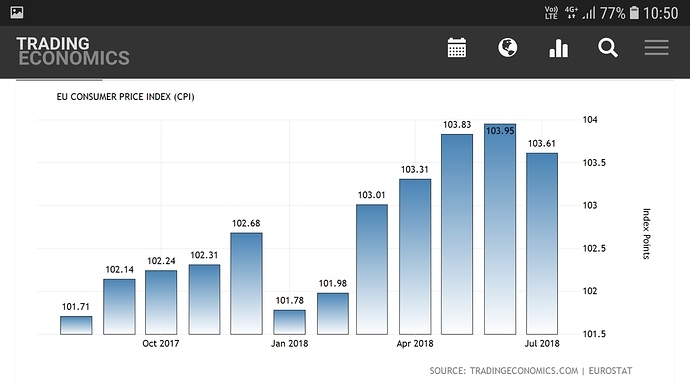 On top of that, both Consumer price index also shows an upward slope bar chart, another strong indication of a bullish EUROS. I was in the bus and on my way to work earlier. At 1028HR SGT, i closed all my EURUSD position because while i was reviewing my trade journal in babypips, i realized my erroneous interpretation yesterday. Base on Germany’s unemployment data, employment status is weakening. This was contradictory with today’s fundamentals. Mixed signal. As i was documenting my thoughts in babypips trade journal. 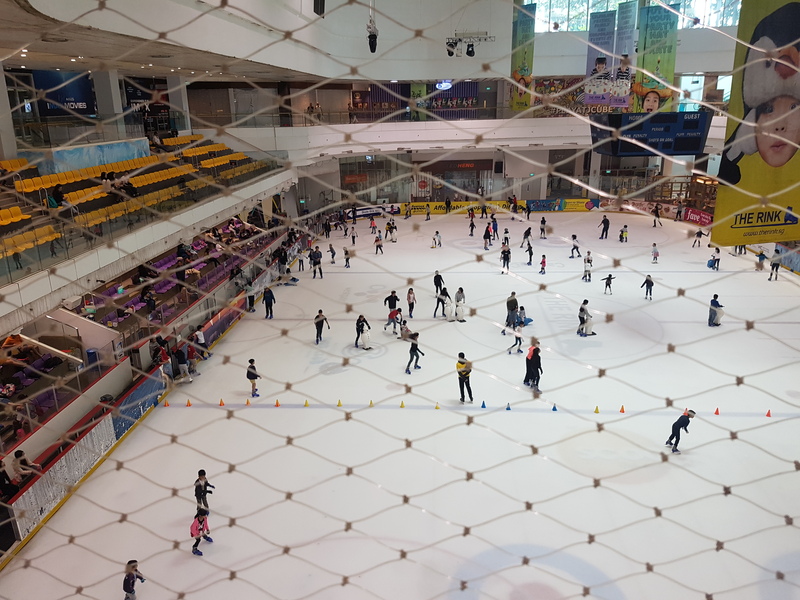 My environment was so noisy, i can barely hear myself think. I keep changing places to sitdown. Every where i went, there had to be people who talk so loudly. I even went to the staircase, just when i thought that it will be quiet, again some loudmouth appear chatting loudly. I decided to sit at a bench under the hot sun. And some peace finally, nobody wants to sit under the hot sun. 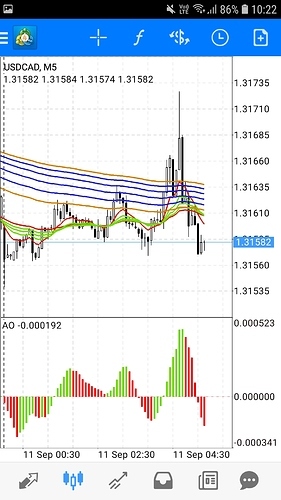 While i was typing away, i reopened another 2 position of EURUSD, but was immediately closed with about 2 pips loss. 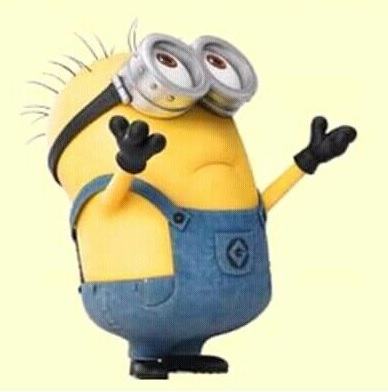 My mood was simply bad. Just as i was typing this sentence, a middle age man had to walk pass in front of me and talking so loudly on the phone, under the hot scorching sun! Unbelievable, people everywhere! I’m starting to get piss! Thats it! I’m done for the week. No more position. I’m just going to cool myself down, before i start work at 1200HR SGT, about half hour from now. Just when i decided not to trade anymore. 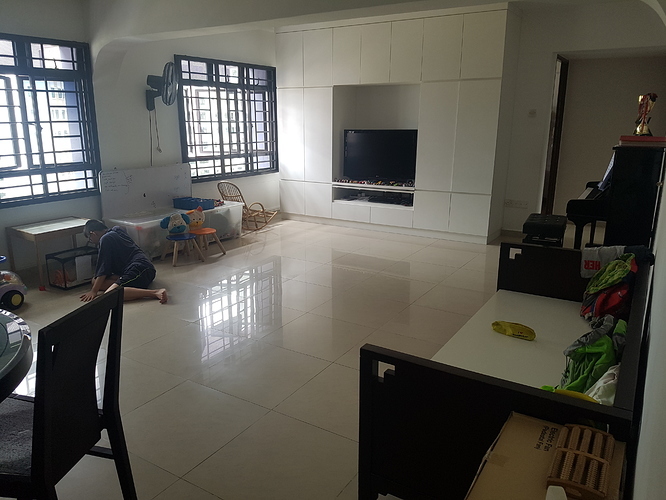 My environment suddenly become so quiet. All the loudmouth simply vanished. It is as though some higher power is signalling me to take a break. I gain 20% in 2 weeks!!! One last comment, during the last US session, traders were more bullish as shown by a couple of the closed up candlesticks. But for today’s Asian session, there was a spike up hourly candle that closed below its hourly mean (shooting star observed). 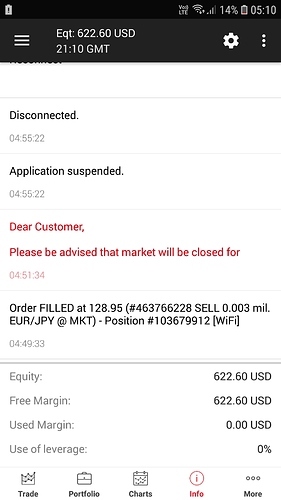 A sign of hesitation for the majority of market participant. Damn! EURUSD spike up. 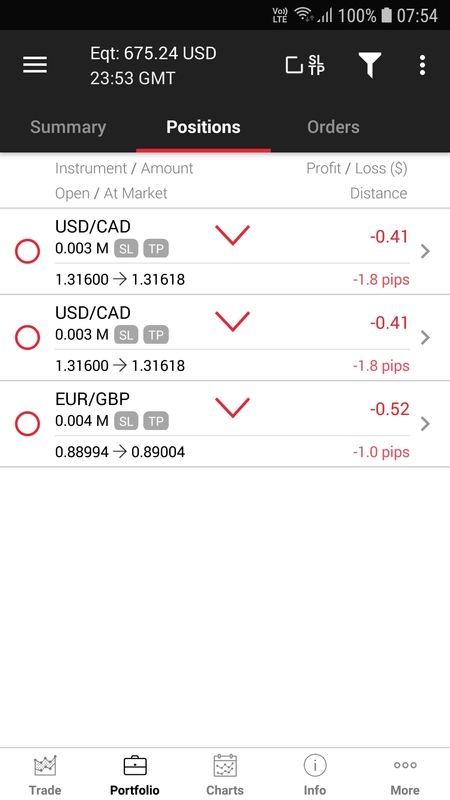 Why did i close my position? Guess, i was not in the right state of mind earlier. 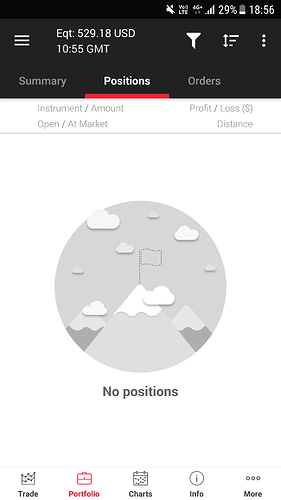 Lack of stamina and will to monitor the market i think. Basically i was lazy. I seriously need a break, day job, family, part time trading and babypips blogging. Everything is starting to take a toll on my mind. The accuracy of my perception is getting blunt. 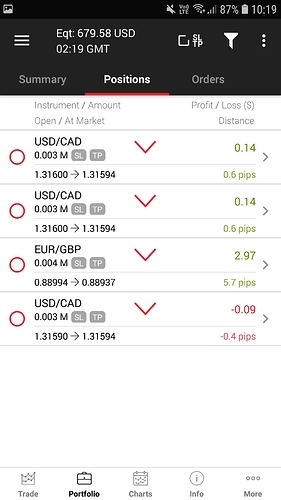 My Total 0.008 lot Long EURUSD had an average price level at 1.16500, hit target at an average price level of 1.16640 (+14pips), Maximum drawdown reached 1.16410 (-9pips). 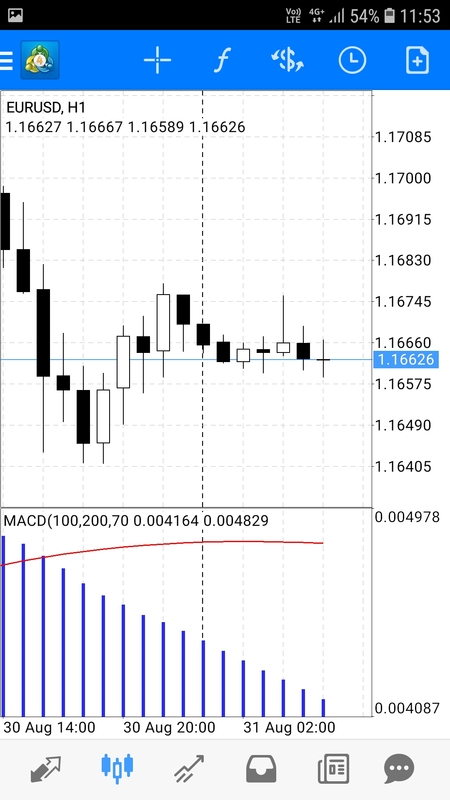 Risk : Reward ratio 1 : 1.55 , I have highlighted the average positions level with blue horizontal line on the chart above. My Total 0.006 lot Long EURJPY had an average price level at 128.620, hit target at an average price level of 128.92 (+30pips), Maximum drawdown reached 128.550 (-7pips). Risk : Reward ratio 1 : 4.28 , I have highlighted the average positions level with blue horizontal line on the chart above. 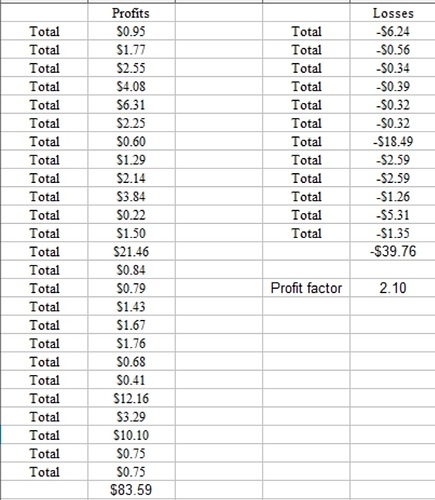 My winrate per opened position and closed by day end were ( 23/27 ) x 100 = 85.2% . 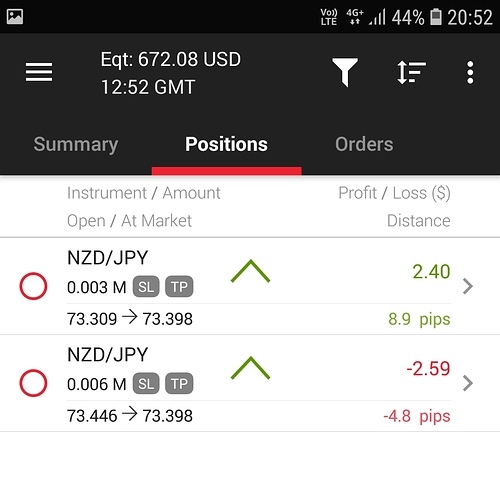 An opened position were closed by end of day and consider as a single trade. 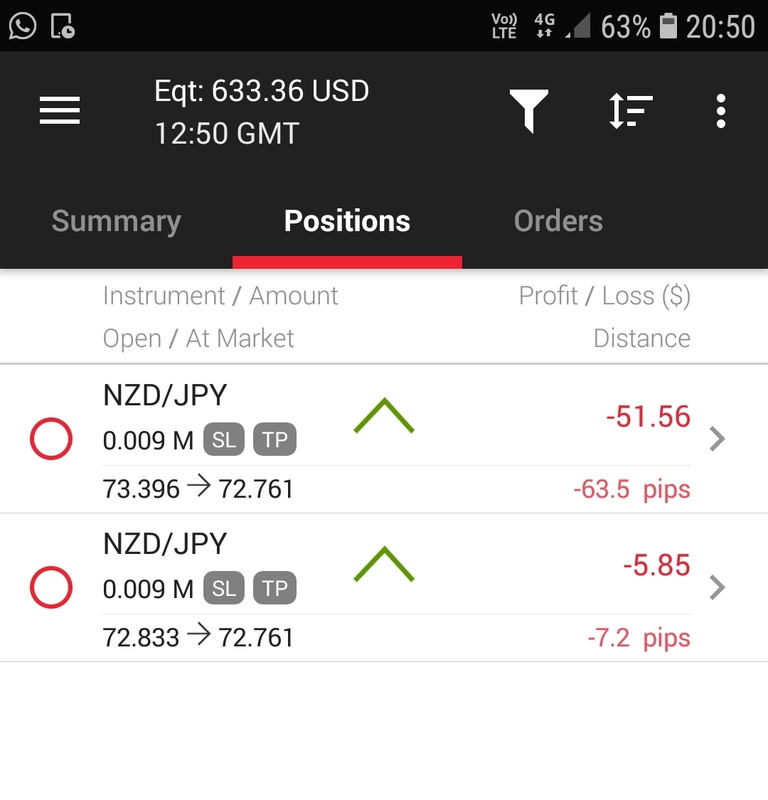 Position that rollovered to the next day were consider as a new trade. Lot size were disregarded for each closed trade. Each closed trade of a merged position from multiple smaller lot size trade were considered as a single entity for easy calculation. 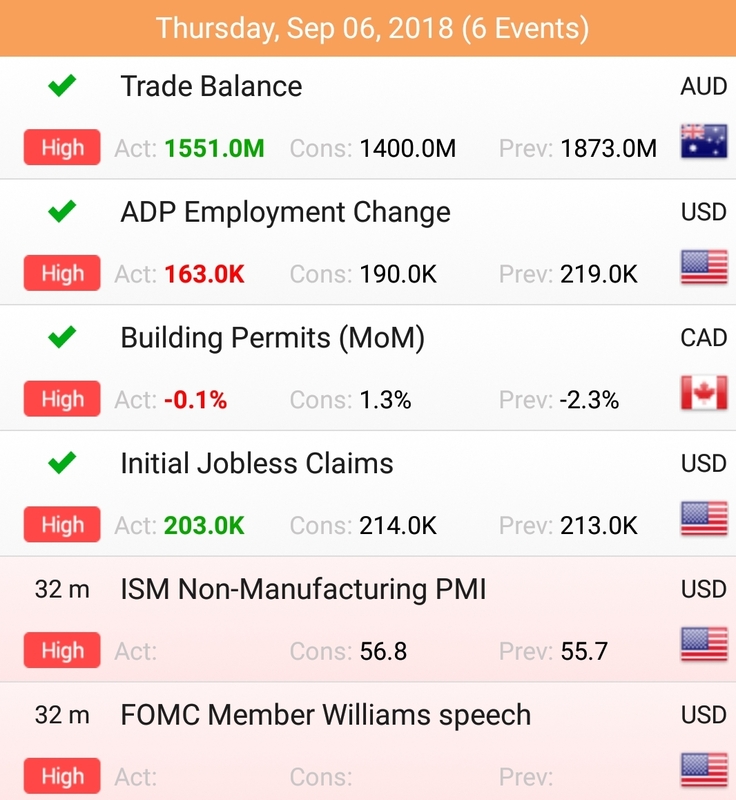 Economic calendar can prove to be quite useful for intraday day trading. Before the next market session, it is worthwhile to check thru the previous months statistical data to look for confluence of signals between technical analysis and fundamental analysis. An hourly candlestick spike with long wick are signs of exhaustion. It may also prove to be worthwhile taking note of. Being aware of current emotional state during intraday trading is very important. Documenting them down in trade journal may help to unwind mental tension. Quitting while ahead can never be wrong, lest the gains are erased in the next market session and our effort would go down the drain. Largest drawdown was encountered on the 24th AUG 2018, My total 0.008 lot of GBPJPY position reached a maximum drawdown of -65pips ( ≈ -$46.69 ). Have a Great weekend ahead everyone!! 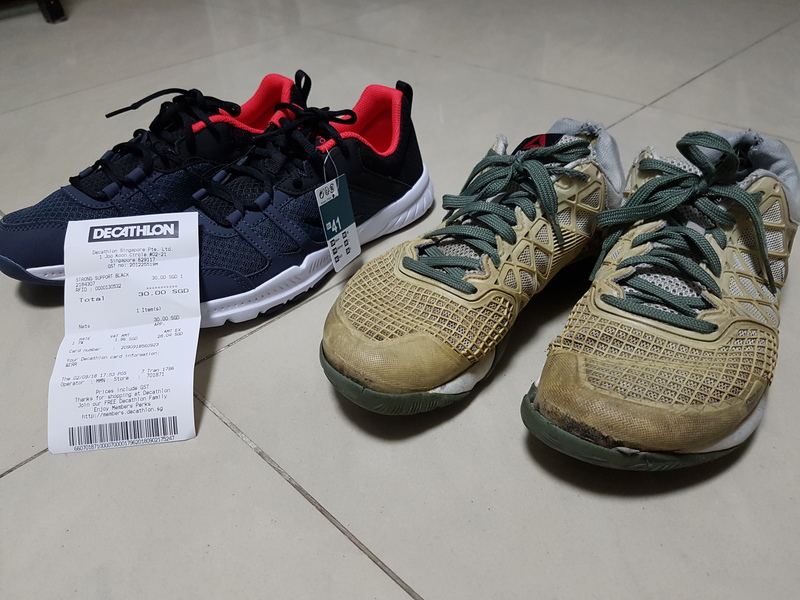 Got a new pair of shoes. Heavy drawdown for me this morning. If i say that doesn’t make me break a sweat, i would be lying. Just woke up from my nap and saw that i managed to hit another target at 73.501, four more position to go. Hope, i’m right. My Total 0.006 lot Long NZDJPY had an average price level at 73.250, hit target at an average price level of 73.45 (+20pips), Maximum drawdown reached 73.150 (-10pips). Risk : Reward ratio 1 : 2 , I have highlighted the average positions level with blue horizontal line on the chart above. I have 4 NZDJPY Long position still running in progress from Monday. 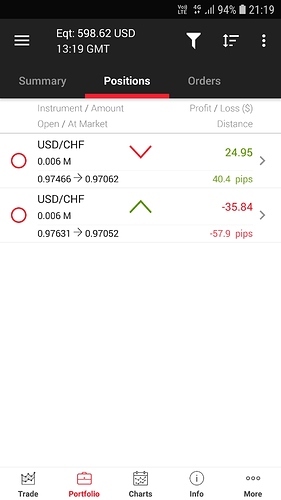 Just added another 2 Long 0.003 lot AUDCHF position. 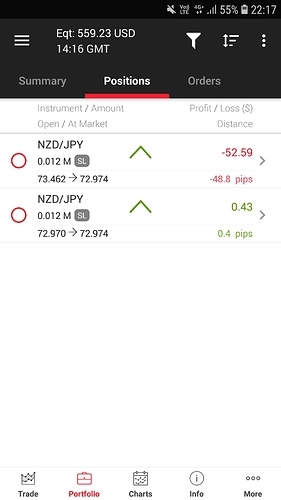 My 4 NZDJPY position are still running in progress. I decided to average my existing 4 set of NZDJPY at an average price of 0.012 lot with another 0.012 lot NZDJPY at 72.990, target 73.236, stop loss at 72.899. As it was close to daily S2 level, was aiming for the bounce off daily S2 level. 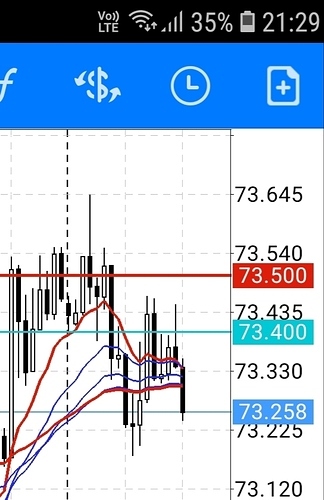 However, just as i was documenting everything in Babypips, my latest position was closed at 72.899. 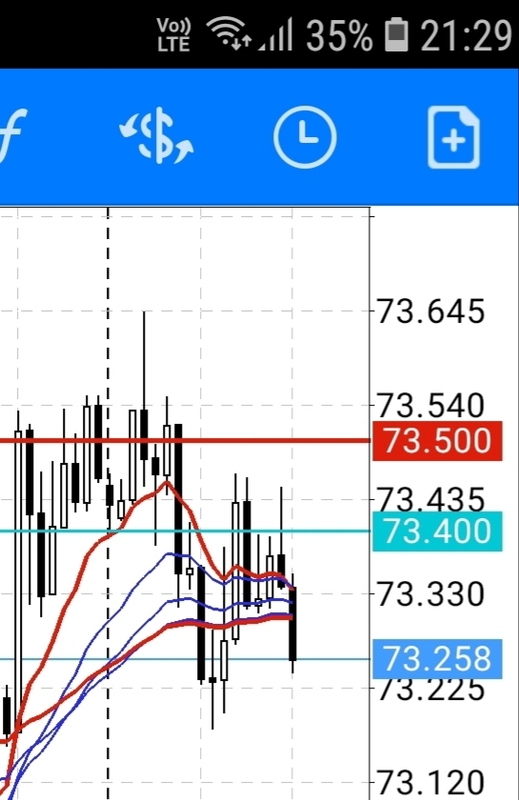 My sell stop order was triggered at 72.899 as well. 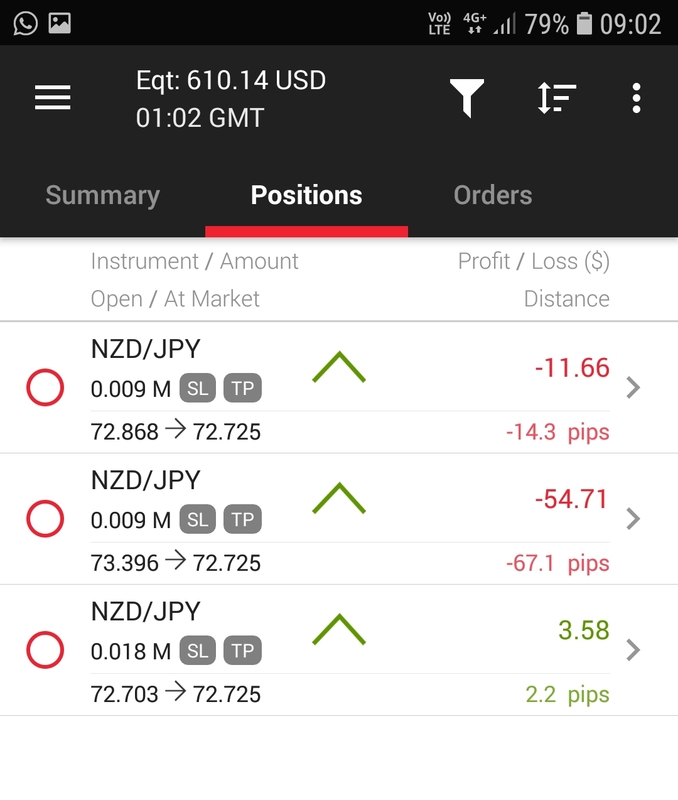 Thereafter, i merged my 4 NZDJPY into 1 long position of 0.012 lot. 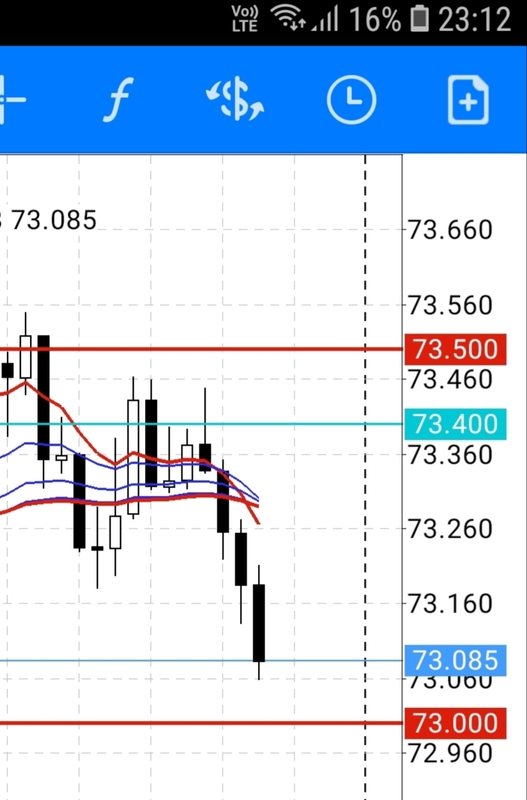 I also enter another short 0.012 lot of NZDJPY at 72.899 targetting 72.799, stop loss at 73.101 . 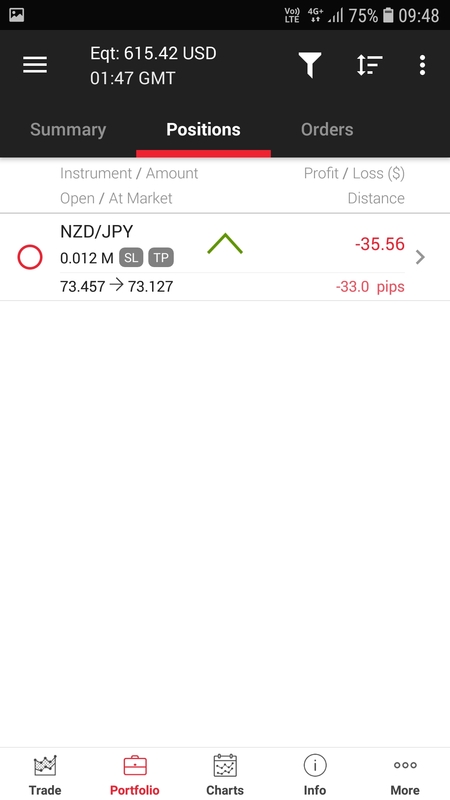 Right now, i have a long short NZDJPY 0.012 lot hedged with a floating loss of -57pip (≈ $60). 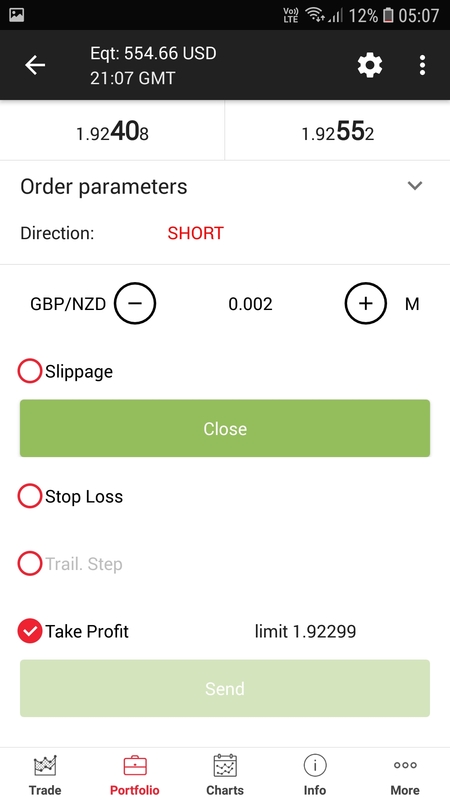 As well as another short 0.012 lot short position. Daily pivot S2 level has been breached, price should be on its way to test daily S3 level (72.642) right now. In theory, to breach a major S2 that requires a certain amount of force and i should be able to hit my target at 72.799 . Now, i can only pray hard. . .
Just closed all my shorts position, i longed a 2nd 0.012 lot NZDJPY, stop loss were set at 72.599 for both long position. i haven’t decided where to set my targets at the moment. Okay, here’s my Ultimatum. 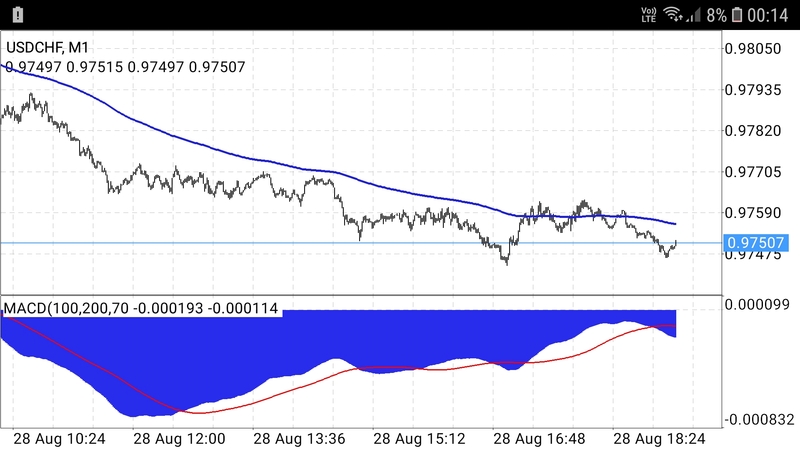 I added a 3rd 0.012 lot NZDJPY at 72.980, targets 73.151 . 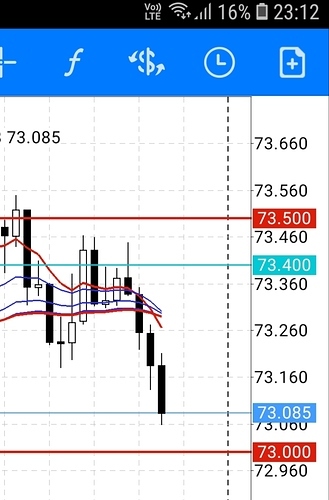 Stop loss were set at 72.599 for all 3 position. Set and forget, i’m going to switch off for a while. Use of leverage has been downgraded from 21% to 6%. Now i feel much peaceful. Why on Earth did i choose to adopt a contrarian style? Can you actually choose ? - I often ask myself the same question - yet find it incredibly difficult to bet for a continuation, when I can see potential turning points looming ! Hey Alph, I don’t know if you are revenge trading, ADHD trading, or what but I have a suggestion, IF you close out the week in the red we can talk, ok, ok. I often ask myself the same question - yet find it incredibly difficult to bet for a continuation, when I can see potential turning points looming ! i guess we can’t choose , really need to develop faith with our data collection. Sometime, the position sizing simply spiral out of control. Thanks, let’s see how it goes for me. 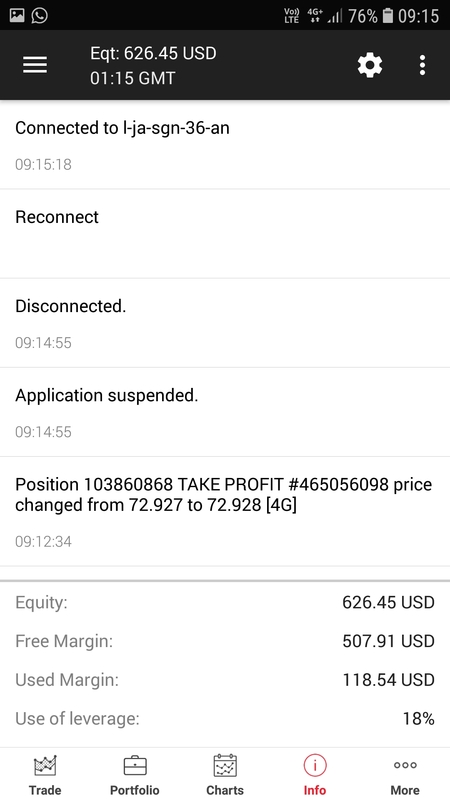 After seeing your comment, i decided to book profits and downgrade my use of leverage to 3% by entering a short 0.006 lot at 73.400. I have yet to merge it, somehow feel that a pullback is brewing, may want to make a small profit on the pullback move. I have yet to set any targets, as i lie in bed typing on my phone. I was down with fever and flu. Trying hard to get up and use my laptop. My long 0.012 NZDJPY at 73.460 , target still 73.901, stop loss 72.599 . 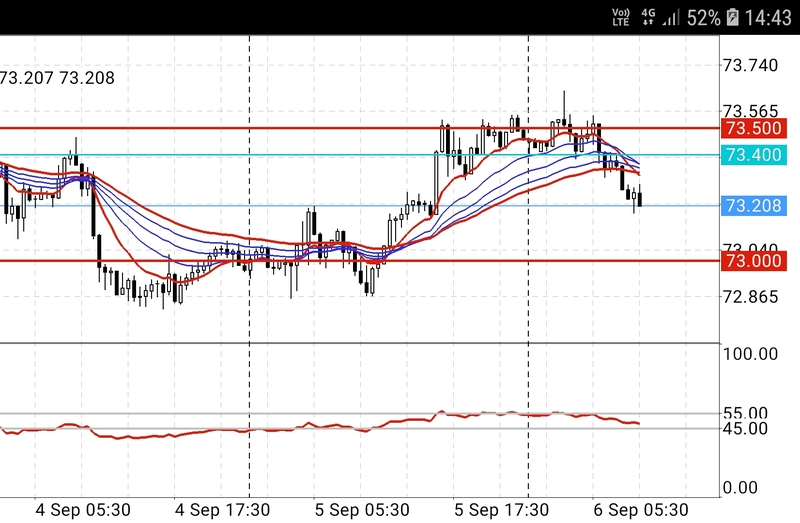 My short 0.006 NZDJPY at 73.400, target set at 72.599, stop loss 73.901 . I will explain my 0.006 lot short later on when i feel better. Going to sleep now. i really feel horrible at the moment. 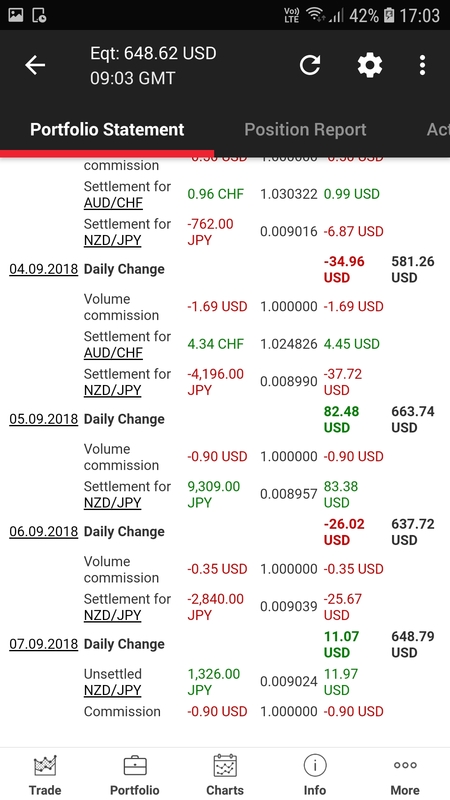 On my way to work now, while travelling in the bus, I did some analysis and got the impression that NZDJPY is still on its way up. i decided to merge off my short 0.006 lot with the Long 0.012 lot NZDJPY, leaving me with a 0.006 lot Long instead. Use of leverage was reduced to only 2%. 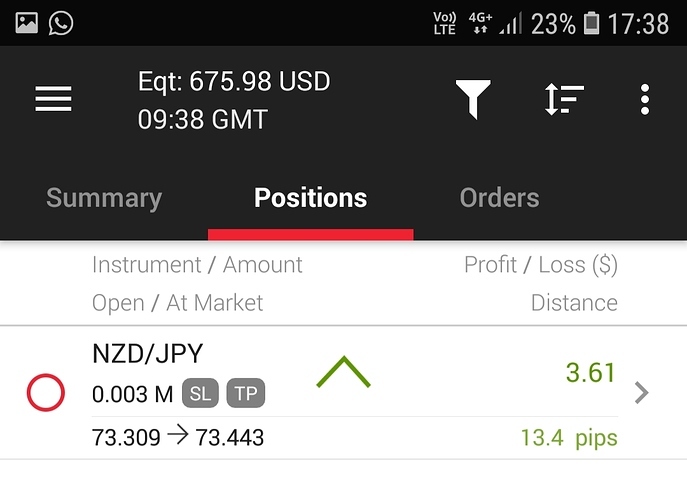 My targets are 73.601, stop loss 73.399 respectively. Managed to hit my targets, still feeling sick. I’m think, i’m probably done for the week. All my positions are closed now. I shouldn’t be trading in my sick mode. My fever came back, took some time off from work. I went to chill at my favorite spot. The ice skating rink. I need some alone time. That place was seriously cold. After chilling for a shortwhile, i decided to watch a movie.The show was emotionally intense all the way, definitely worth a watch!! Despite the lame movie poster. 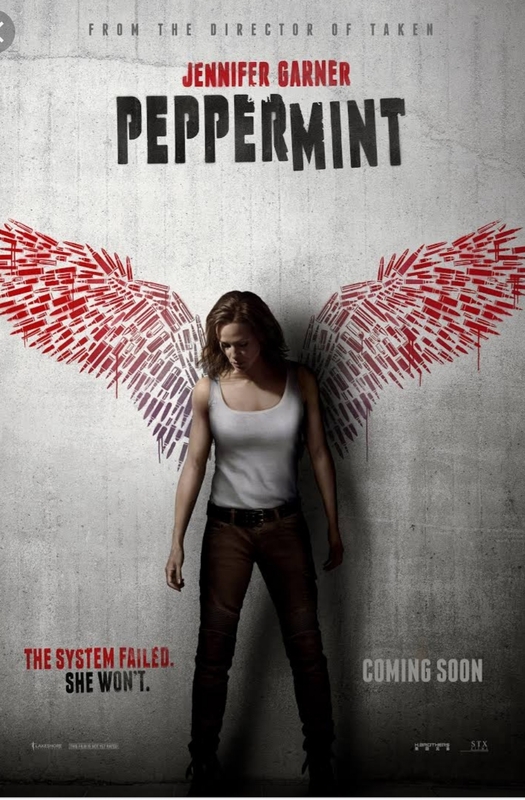 But when i saw Jennifer Garner’s name, mmm… i will give it a shot. No regrets, i would say. 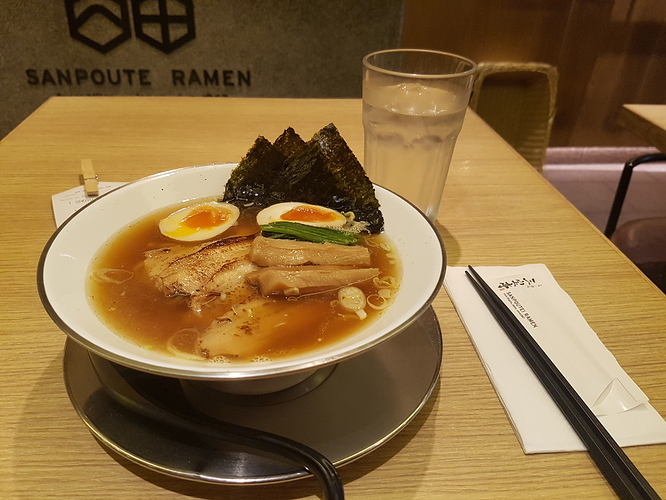 After watching the movie, i seem to have gained strength, and felt much better already. I highly recommend it. Title of the show is “PEPPERMINT” . I really hope that Jennifer and Ben can get back together. I kinda felt heart wrenching for them. 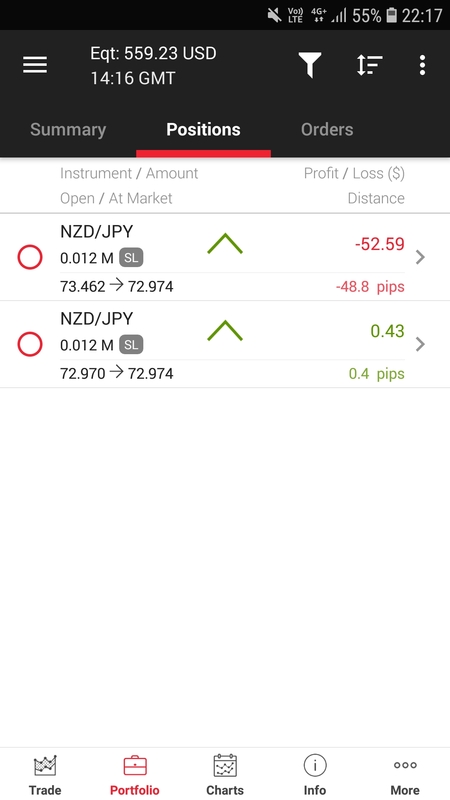 I am really glad that i booked profits for my NZDJPY this morning. NZDJPY seems directionless at the moment. My chart above was inspired by Manxx, i kinda get the feeling that Mr Guppy is lurking somewhere in the forum. Anyway, from the rainbow chart above, price seems on its way to test the major psychological level of 73.000. Today, during Asian session and European session, trader’s sentiments were bearish. 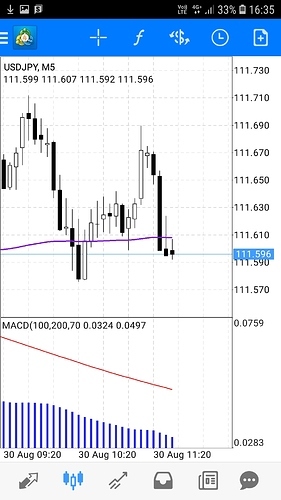 An exhausted hourly candle with long wick was observed during mid part of asian session. Price is trading below rainbow zone. Yesterday’s London session was the 1st attempt that bull traders took control. Now, the million dollar question is will the Bull trader during London session book profits or continue to Go Long today? If there is a breakout above the rainbow zone. I am keen to put in a Long NZDJPY and aim for the 74.000 major level. 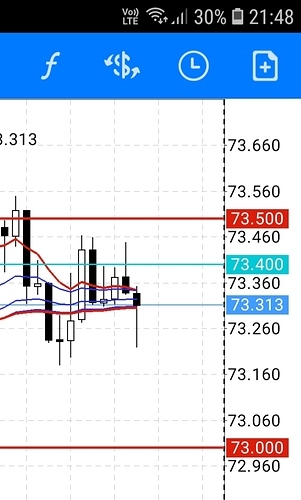 Oh what the heck, i’m going Long , Dennis’s SW chart painted a bullish picture and on the 1min rainbow chart, price just breakout above the rainbow zone, above 73.300. I simply can’t resist a trade when i see one. So much for my resolution to not trade when i’m still sick. My use of leverage is only 2%!!! I’m so comfortable, no stress at all. From the chart, i felt there was a lack of confidence from European and London session’s market participants. 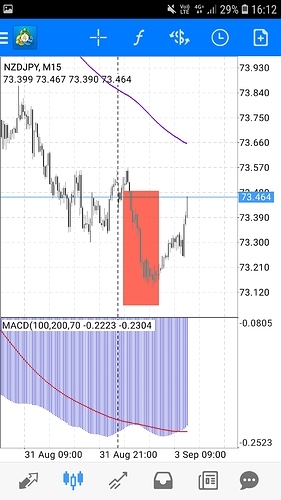 Although the bull traders took control, they were unable to breakout above 73.500 price level, and that felt like a lackluster performance to me. I’m closing one of my NZDJPY position, leaving one 0.003 lot NZDJPY to aim for 73.901 price level, stop loss at 72.899 . It appears to me that London bull traders are making another attempt to push price above 73.500 ahead of US opening. It is a bullish sign to me, someone must have gotten wind of something, otherwise why would price be pushed up? 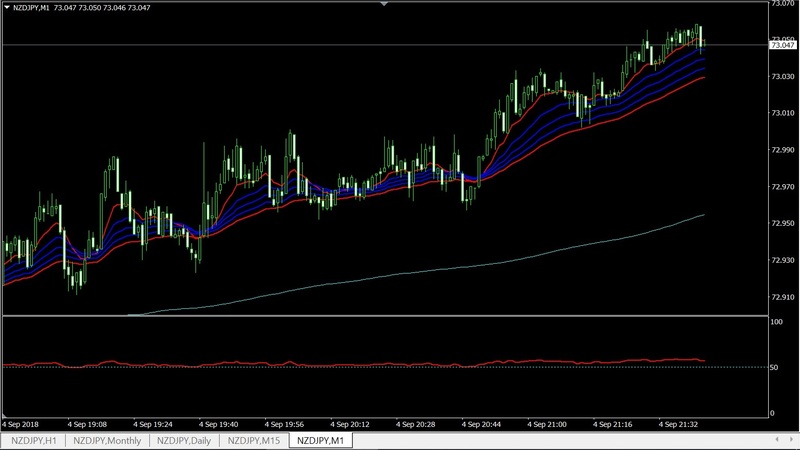 Ok, the moment i longed my 2nd NZDJPY, price dipped immediately, i’m not at all pleased with that. However, i’m beginning to feel some relief. Reason being, about an hour or so had passed after the released of 3 high impact news. Bear sellers seems unable to push price down. Anyway, i have already made my decision to cut loss at 72.899 . If that price level doesn’t hold, i’ll bite the bullet. The final 2 piece of US high impact news shall determine my fate. 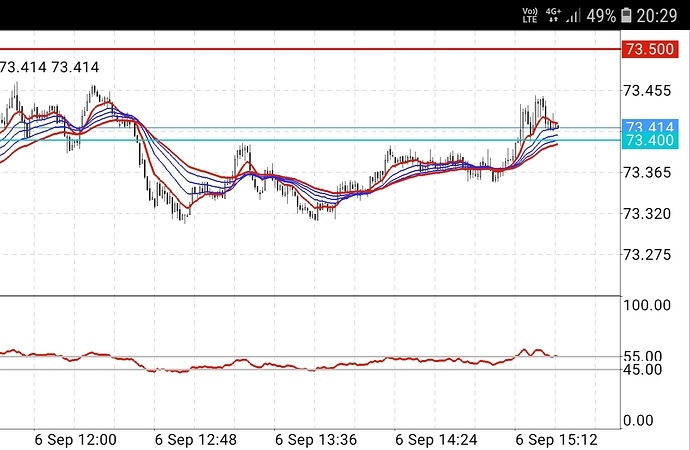 I will standby my initial bullish bias for NZDJPY. Bear seller give me your best shot! 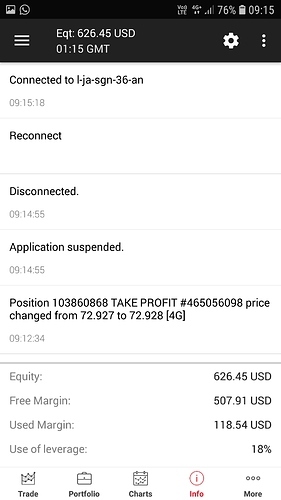 Adjusted my stop loss to 72.599, which was my yesterday’s ultimatum. That is the max amount of loss i can tolerate. The bear seller won. Bull buyer lost. 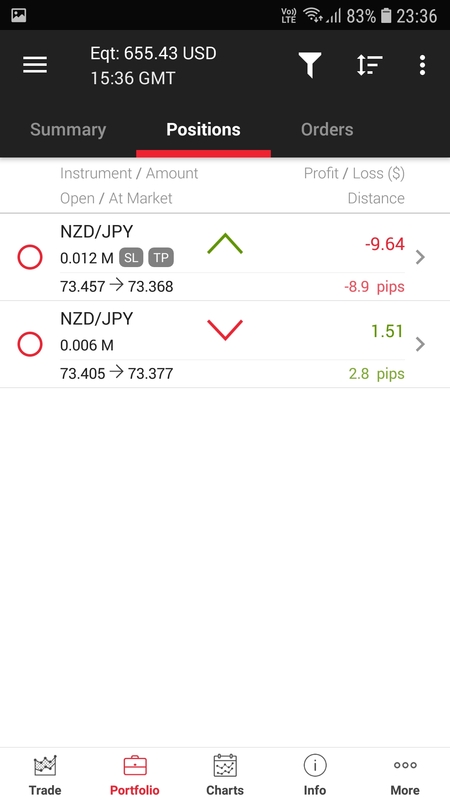 Just added a 3rd 0.018 lot long NZDJPY at 72.703 with intend to square of my 1st and and 2nd position at 72.928 price level. stop loss were set at 72.099 for all position. 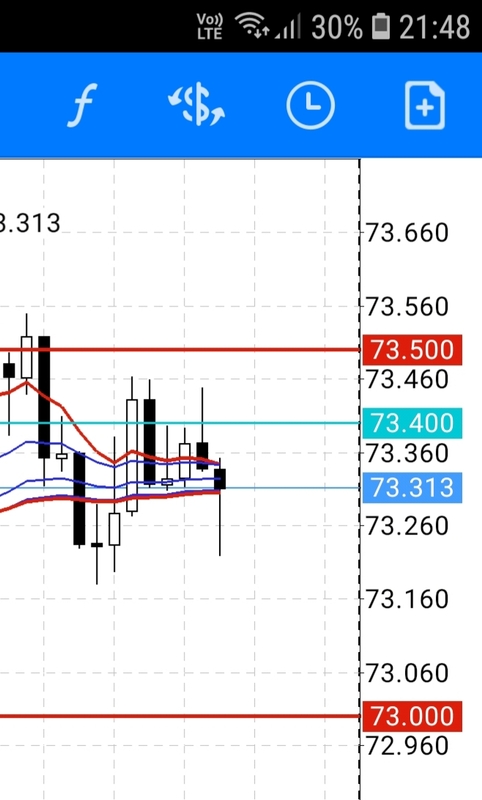 My belief is for NZDJPY to reach 74.000 level at least, and price shouldn’t drop beyond Major support level at 72.000 , my use of leverage is currently 4% . I’m going to switch off for a while, trading is simply too exhausting. Next week, i may want to adopt a trend following style than a contrarian style. 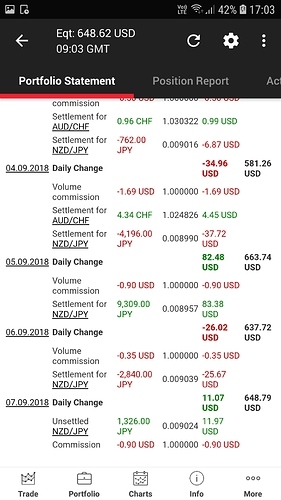 I’m probably sick because of the stubborn bearish NZDJPY . Have to send my 2nd son for piano lesson later, and a little short family grocery spree in the evening. Use of leverage rest at 4% currently, now i can finally have a peace of mind. 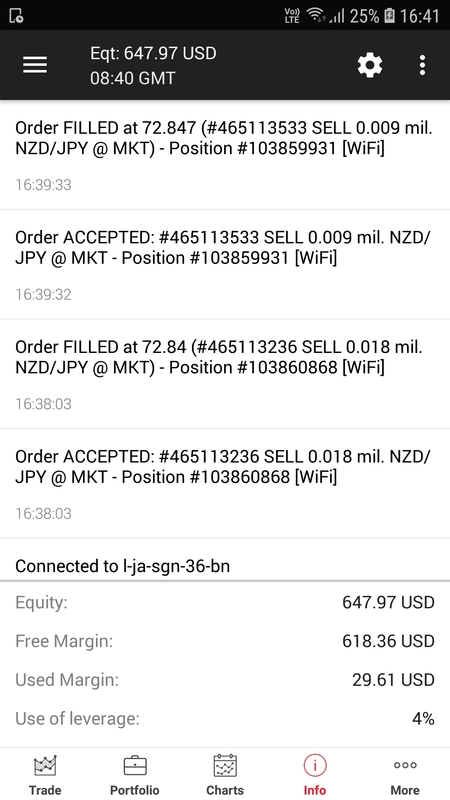 This whole week my main focus had been on NZDJPY, and i must say that i’m quite disappointed with my analysis. 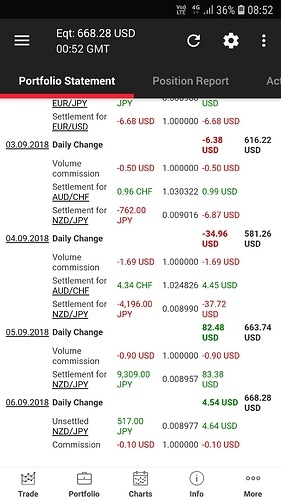 So far, i’m lucky to have survive till today, NZDJPY could have easily crashed the other way and i would probably be back to square one or in the red. Then i would have to become Snake snacks. 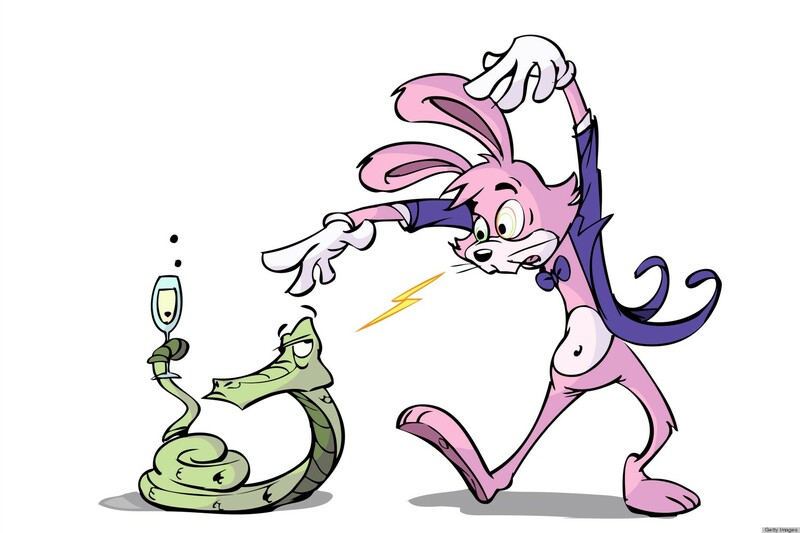 Somehow, i manage to keep the snake in check. 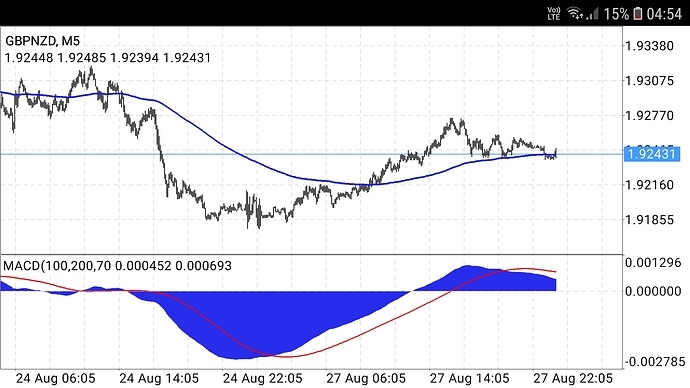 2nd : After observing NZDUSD, USDJPY and NZDJPY price fluctuation behaviour. I dare say there is almost no confidence from the seller to continue pushing prices downward. If it is not going down, then there is only one way left to go. 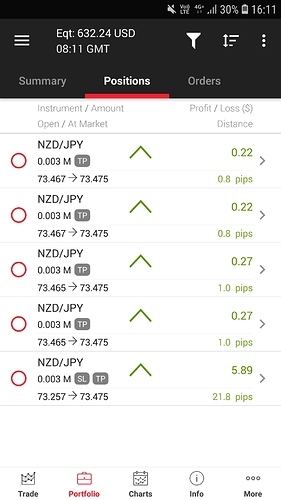 NZDJPY is going no where. I am closing all my position right now. I’m not giving the snake any chance to bite me. 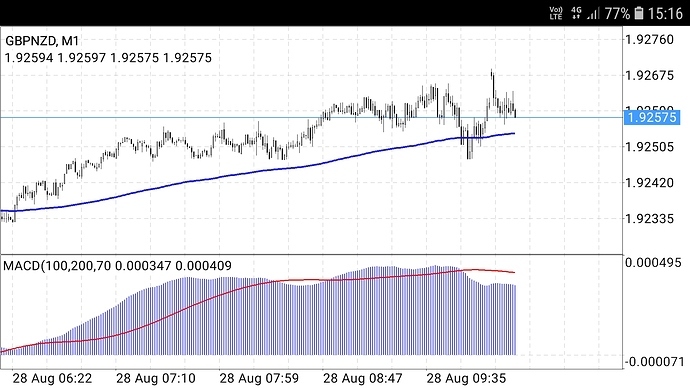 NZDUSD is close to 100% of Average daily range, a pullback is on the horizon. 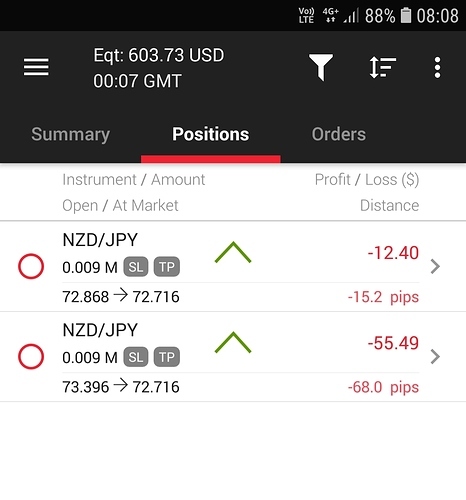 Due to the complexity of my trading entry this week, i will be consolidating my NZDJPY position as a one whole position for the Week. My Total 0.111 lot Long NZDJPY had an average price level at 72.940, hit target at an average price level of 73.040 (+10pips), Maximum drawdown reached 72.560 (-38pips). Risk : Reward ratio 3.8 : 1 , I have highlighted the average positions level with blue horizontal line on the chart above. My Total 0.006 lot Long AUDCHF had an average price level at 0.6990, hit target at an average price level of 0.6999 (+9pips), Maximum drawdown reached 0.69710 (-19pips). Risk : Reward ratio 2.11 : 1 , I have highlighted the average positions level with blue horizontal line on the chart above. My winrate per opened position and closed by day end were ( 12/25 ) x 100 = 48% . 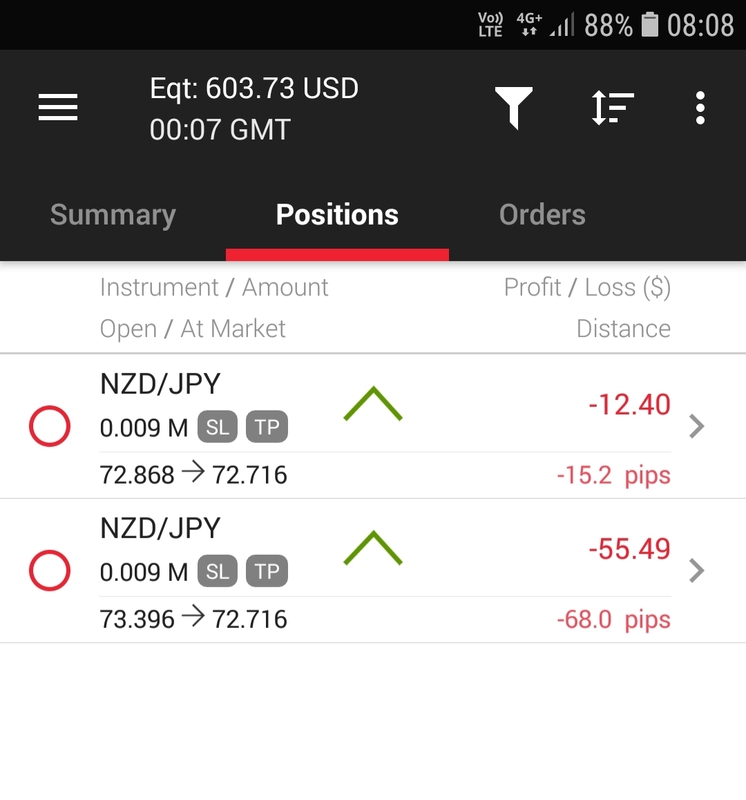 An opened position were closed by end of day and consider as a single trade. 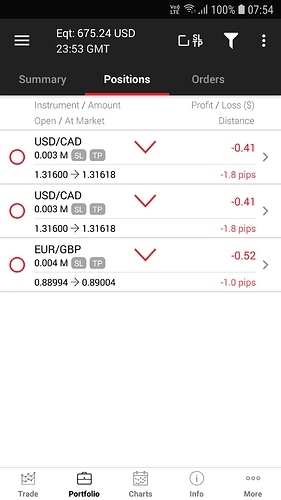 Position that rollovered to the next day were consider as a new trade. Lot size were disregarded for each closed trade. Each closed trade of a merged position from multiple smaller lot size trade were considered as a single entity for easy calculation. My accuracy failed this week, i seriously need to buck up. My Maximum drawdown to date is about 17%. 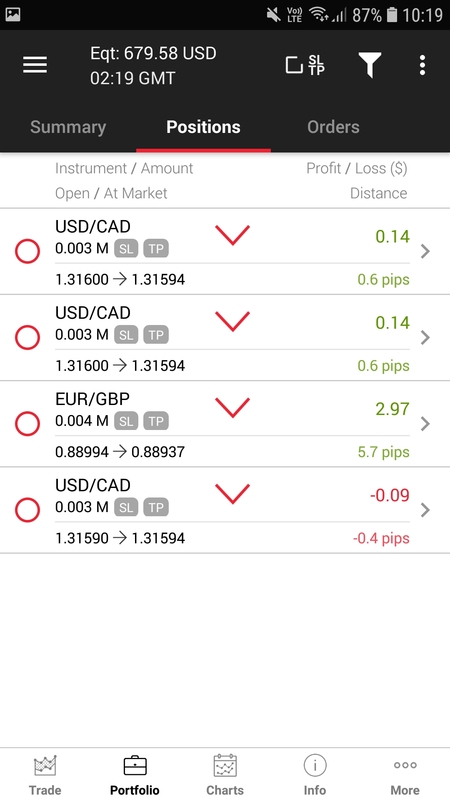 I realized that when my use of leverage were below 10%, i have no stress at all, and i can comfortably drawdown up to about 100pips without elevated anxiety. From today onward, i will maintain use of leverage below 10% , as i have discovered that my Maximum stress threshold is at leverage usage of 10%. Trade Viper cameo appearance in my thread did help to restrain my trigger happy fingers a bit. It is good to be in a community whereby everyone can help to monitor each other’s trade journal and provide timely reminder or advice to avert a potential trading catastrophe. Thanks Viper! 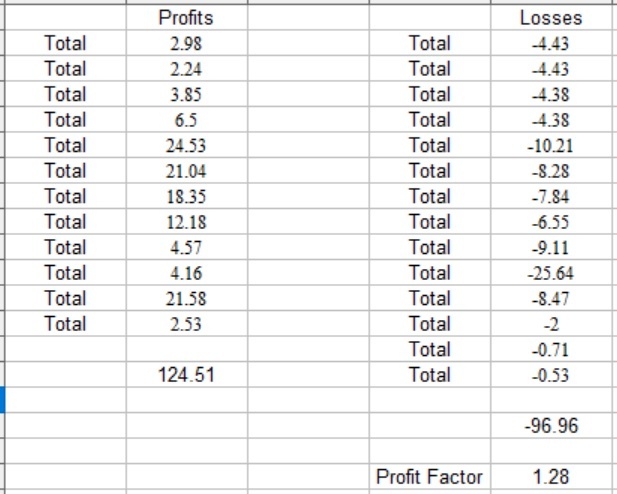 After 2 weeks of good trading performance, i became complacent on the 3rd week. There was no sense of fear at all. 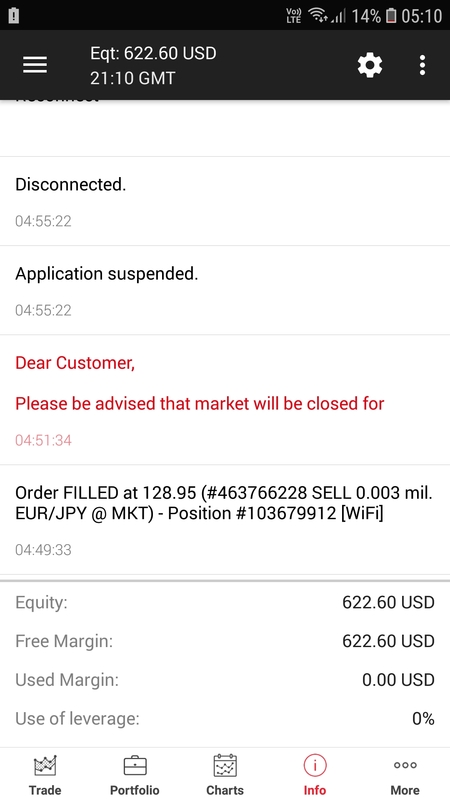 When i started 3 weeks back, i was very cautious with my entry. I really need to guard myself against complacency after a good run of trades. 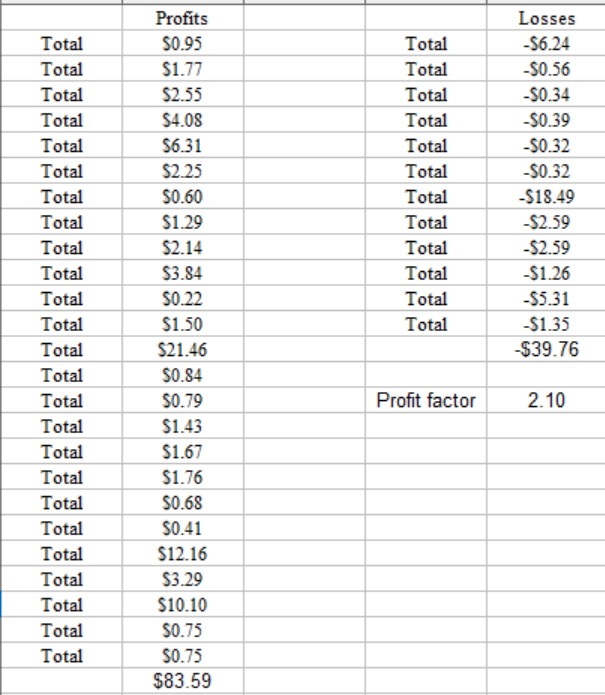 Around mid-week, i was gunning for $700 mark. Overly ambitious, i would say. I’m not sure if it has anything to do with my fever. I was sick, but i was still trading all day long. Really need to curb myself and rest when i’m not feeling well. 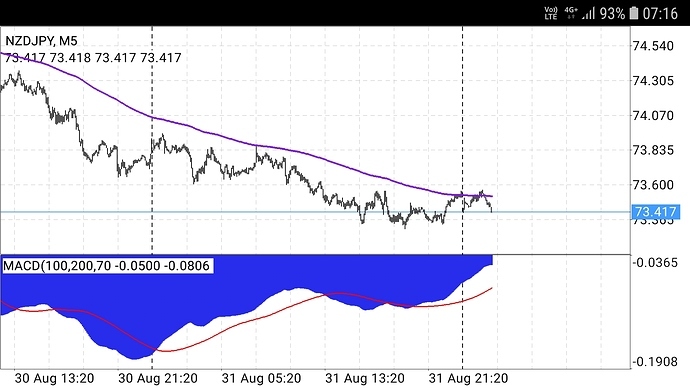 Hey A, soooo, how is it that you are long NZDJPY, with a chart like this? The breakdown was the high in Sept, after that, no matter what timeframe, you should have been hunting shorts. I know that, but i was making an attempt to pick a bottom. My methodology failed me. 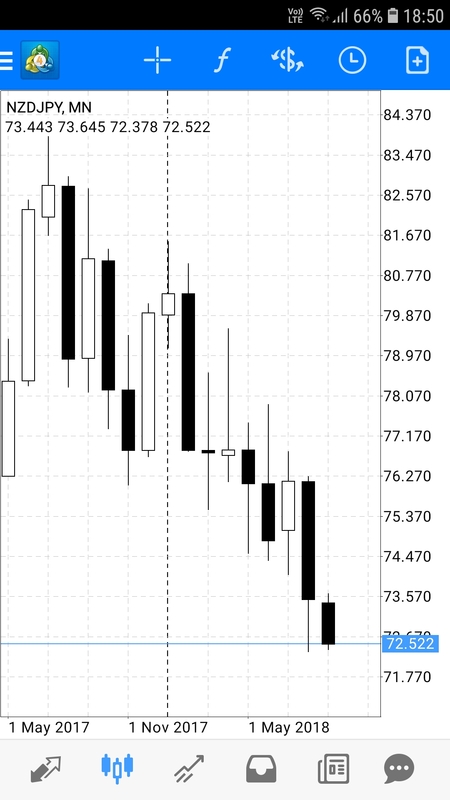 I was speculating on a 40% overlap between the monthly candlestick for NZDJPY. I overlooked the longer term bearish bias. It was a mistake on my part. Bad trade. 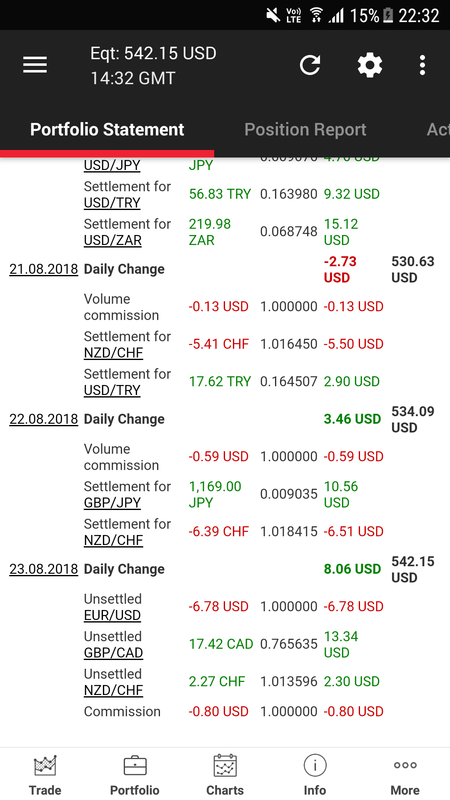 I have learnt my lesson, never fight against the Long term trend. 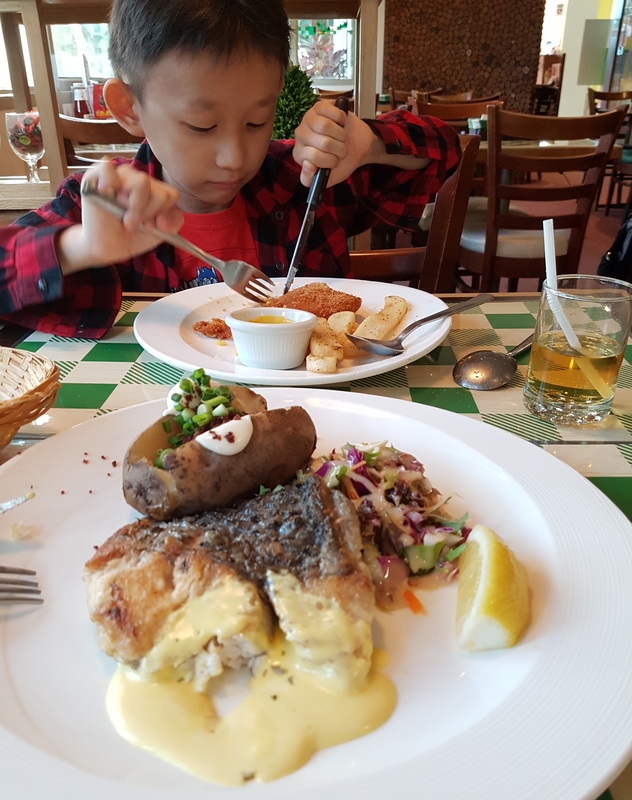 After swimming, we went to dine at a coffee shop. I had Bee hoon for dinner. 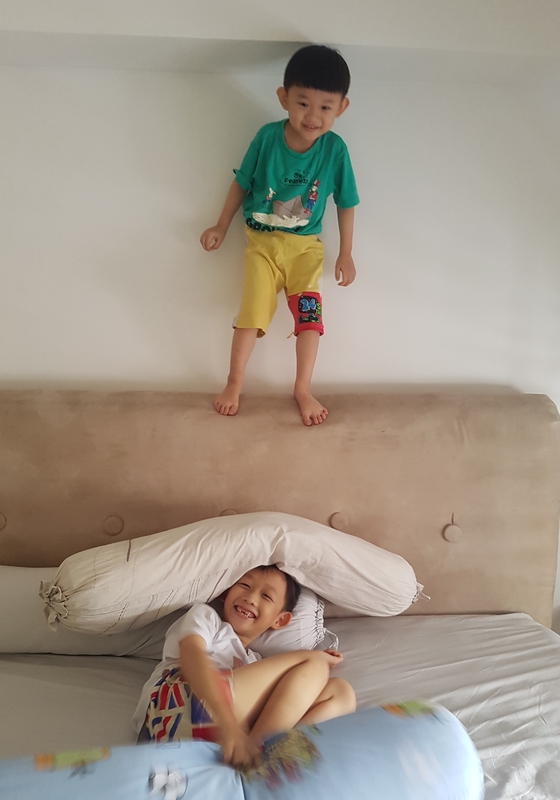 My 2 sons ate prata. An interesting incident happened during dinner. 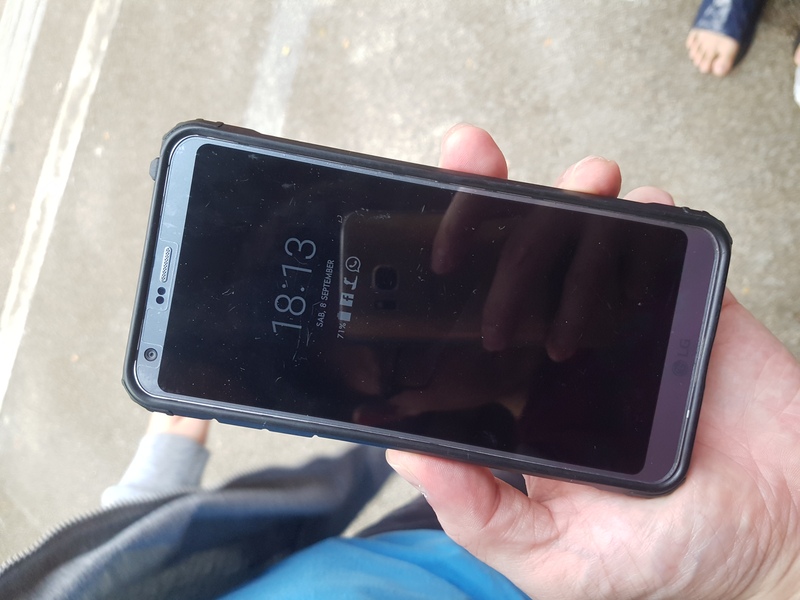 My son found a smartphone ringing right under his seat. 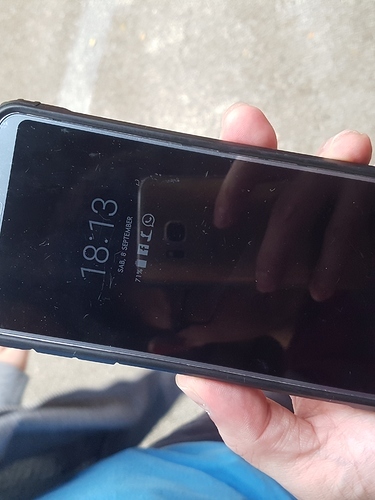 Someone had lost a phone. I answered the call, it was the owner’s daughter. I told her to come get it, but she was attending a funeral event and ask me to deliver the phone to her. I was thinking what the … shouldn’t she come and get it? Anyway, what are the odds of an opportunity to do a good deed. I wasn’t busy and acceded to her request and told her that i will deliver it to her, after my dinner. Anyway, the address she gave me wasn’t too far away, probably about slightly less than 1km away. When i reached her place, her father was with her and thank me for the effort. A word of appreciation was good enough for me. 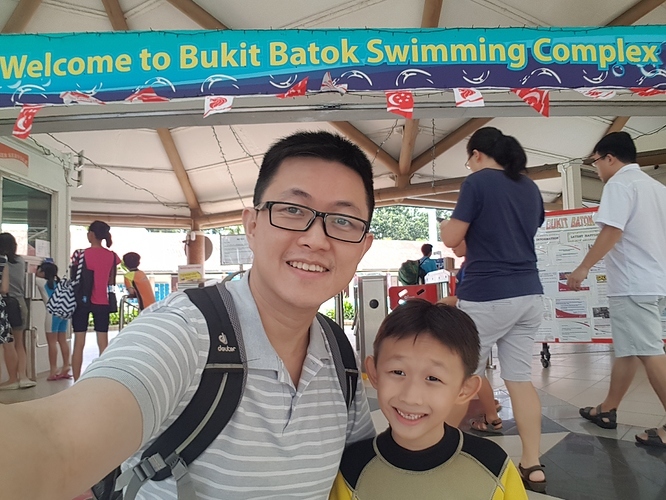 Just before i left, her father pass $50 SGD to my son. I wasn’t doing it for any reward. I only wanted to do the right thing, thats all, but her father insisted that i accept it or he will feel bad. Initially, i declined his gesture of good will, but he was quite insistent and i relented. I accepted his monetary token of appreciation for returning his phone. On my way home, i was thinking what a Lucky day! I get to do a good deed and was rewarded for my effort. I’m quite pleased with myself. 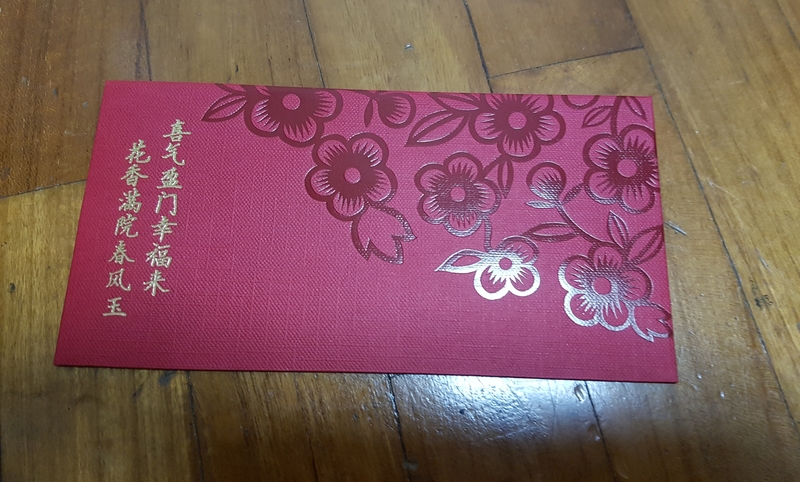 When i reached home i decided to put the $50 into a red packet and keep it in my tin box as a token of GOOD LUCK! This is lucky money and i shouldn’t use it. 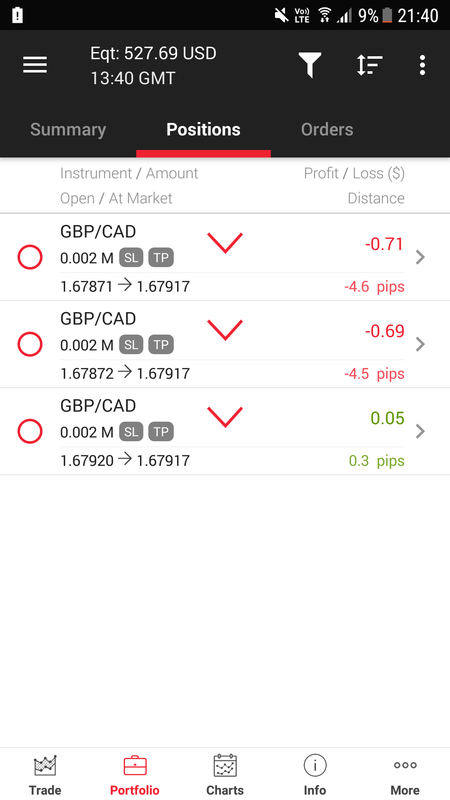 My GBPUSD position was consolidated to 0.006 lot, and hedged between 1.28996 and 1.29258 with a floating loss of 27pips. Fickle market, got my sell stop order triggered earlier. 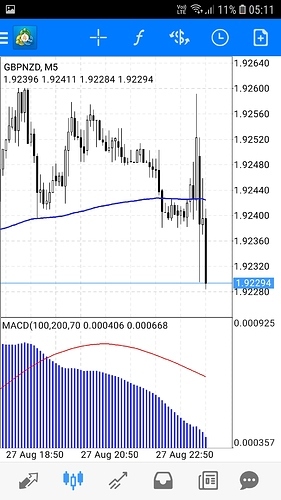 i decided to close off the sell order at a loss of -33pips. The problem with tight stop loss. I waited patiently one whole day and miss the boat by an inch!! Look at it fly man!!! This is a bit too much for me to handle. 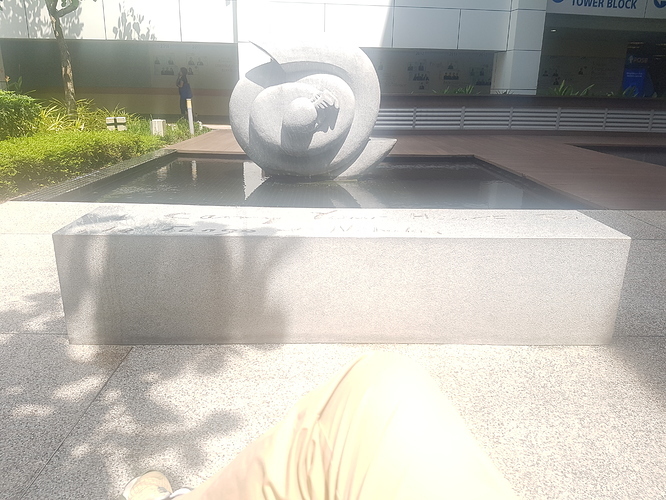 Just want to chill out for a while. I’m closing all my position. NZDUSD from 0.65360 closed at 0.65440 + 8pips. 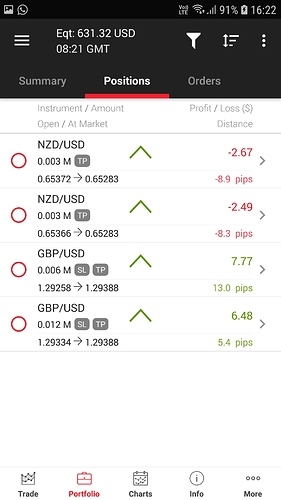 My Total 0.006 lot Long NZDUSD had an average price level at 0.65369, hit target at an average price level of 0.65447 (+8pips), Maximum drawdown reached 0.65120 (-24pips). Risk : Reward ratio 3 : 1 , I have highlighted the average positions level with red horizontal line on the chart above. 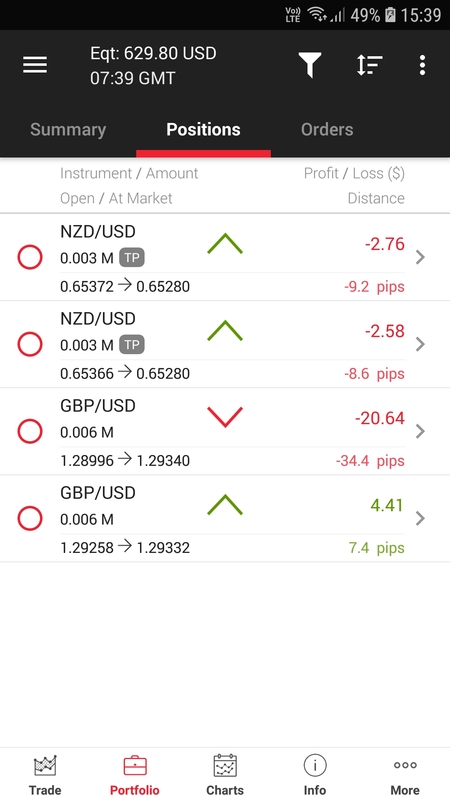 My Total 0.018 lot Long GBPUSD had an average price level at 1.29308, hit target at an average price level of 1.29544 (+24pips), Maximum drawdown reached 1.29200 (-10pips). Risk : Reward ratio 1 : 2.4 , I have highlighted the average positions level with blue horizontal line on the chart above. 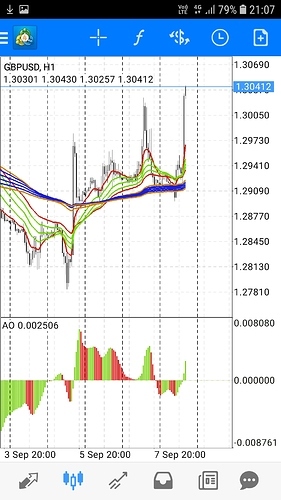 My 0.006 lot Short GBPUSD was opened at price level 1.28996, hit stop loss at price level of 1.29325 (-33pips). I have highlighted the average positions level with red horizontal line on the chart above. 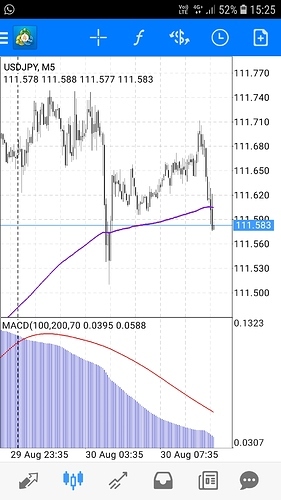 Currently, i just added a Short USDJPY at 111.491, target 111.199, stop loss 112.101, in support of Baemax023 who shorted USDJPY yesterday. Let’s push USDJPY down!